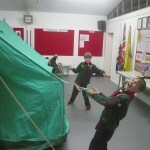 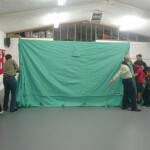 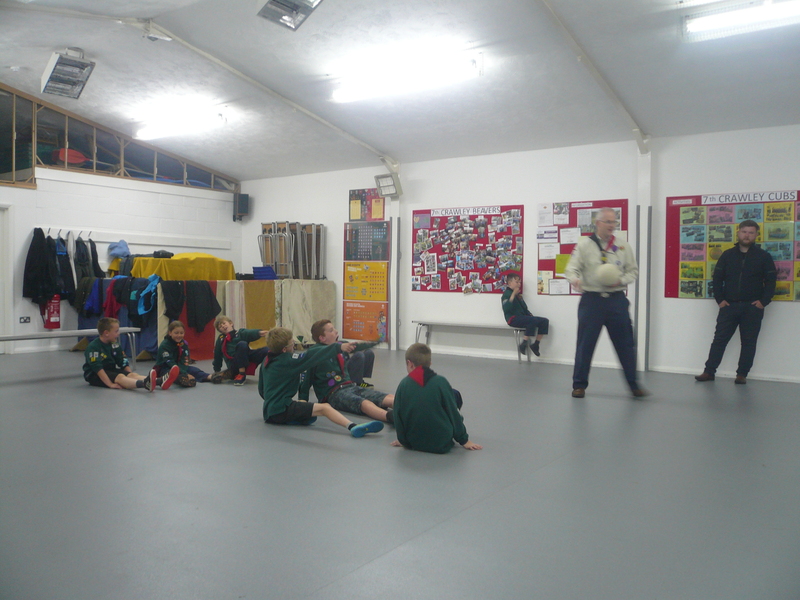 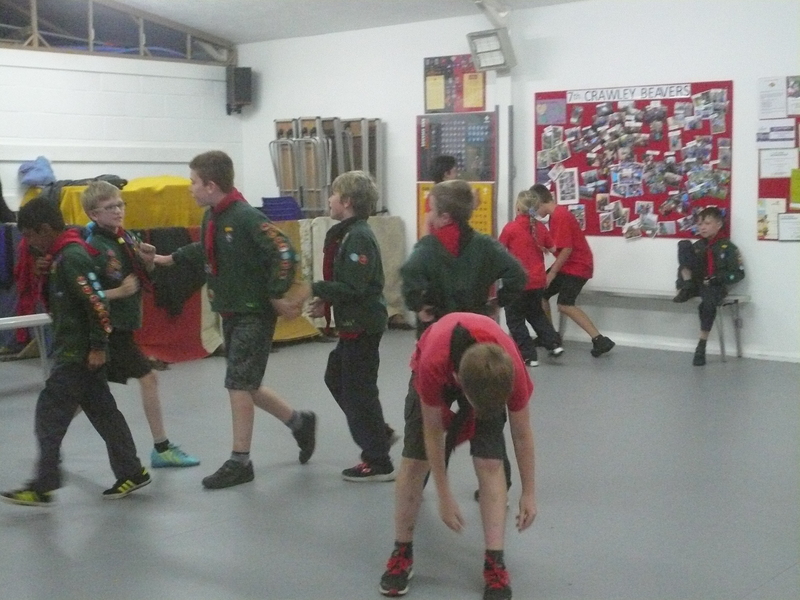 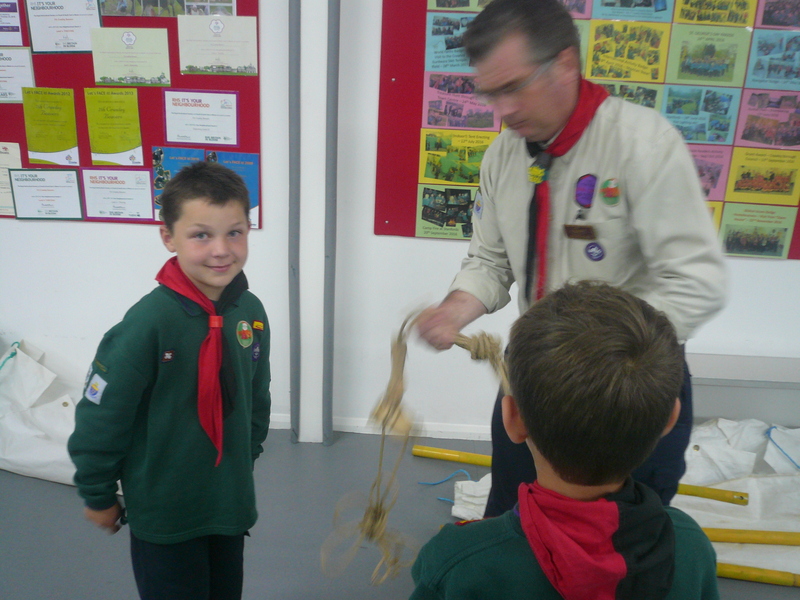 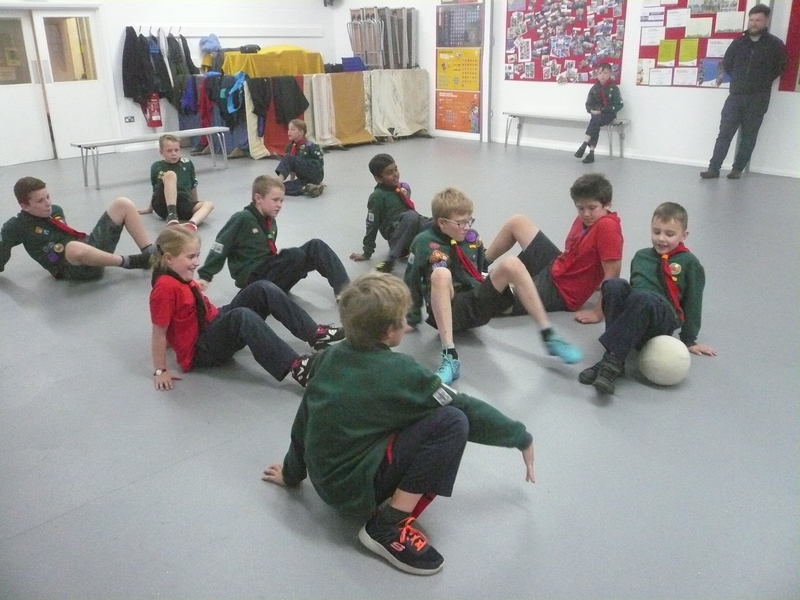 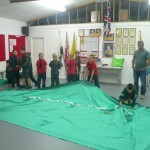 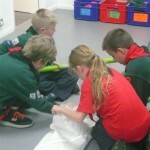 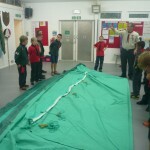 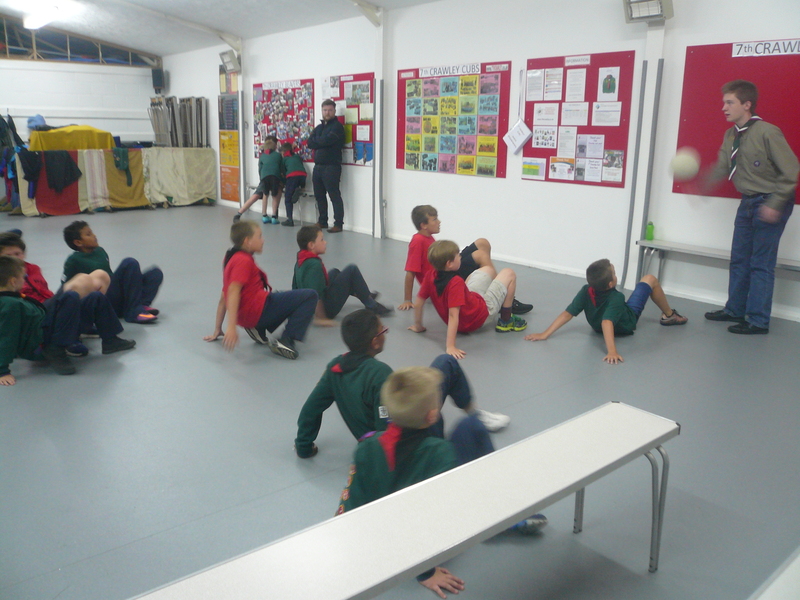 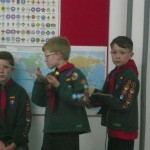 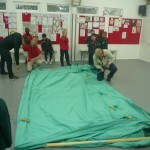 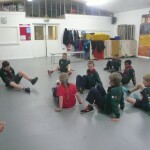 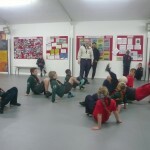 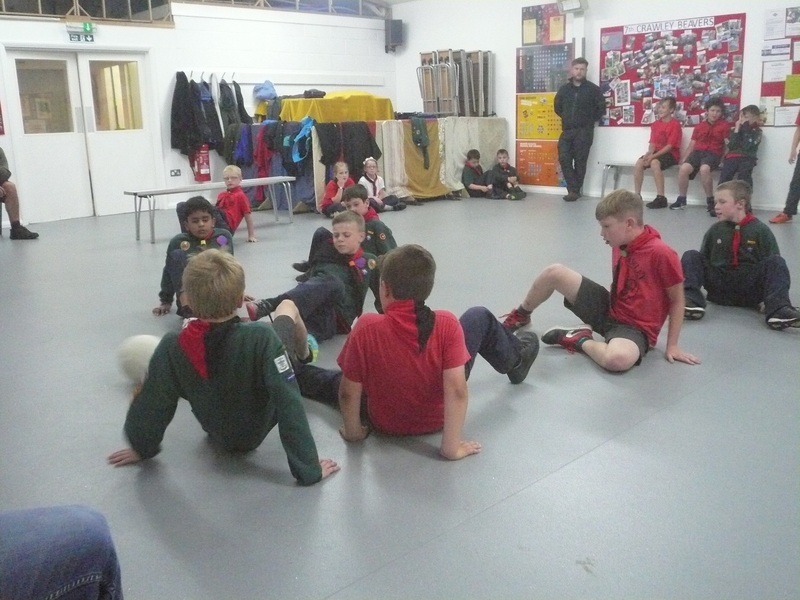 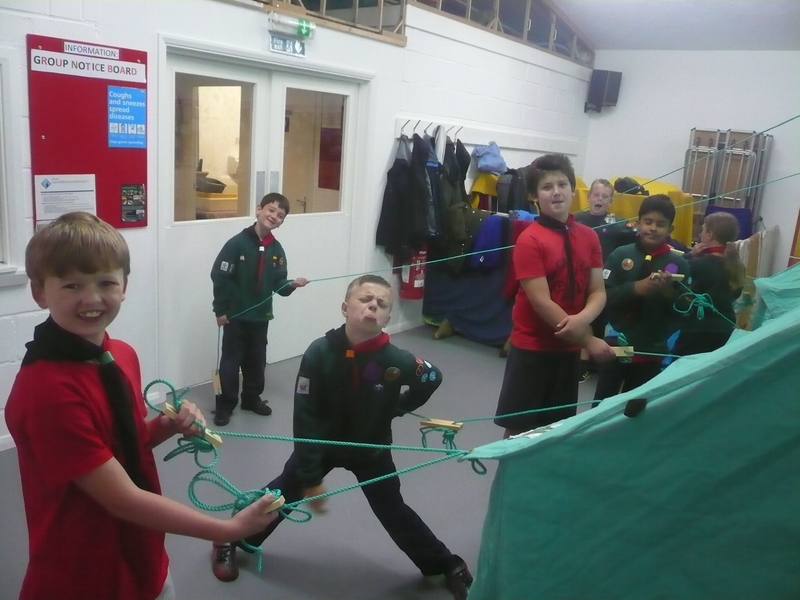 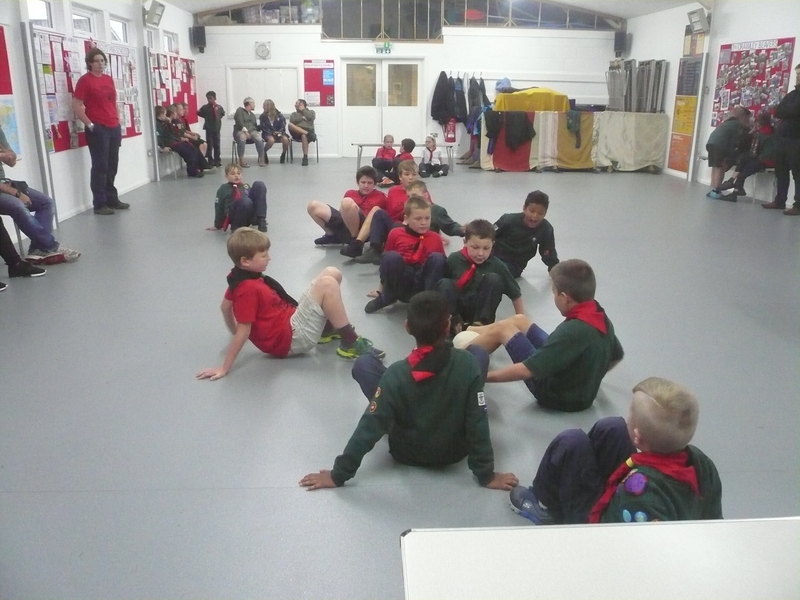 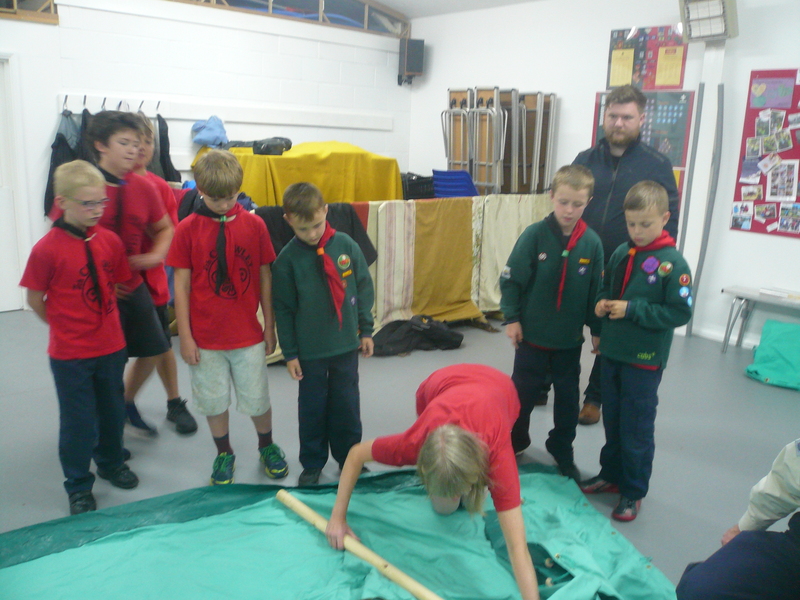 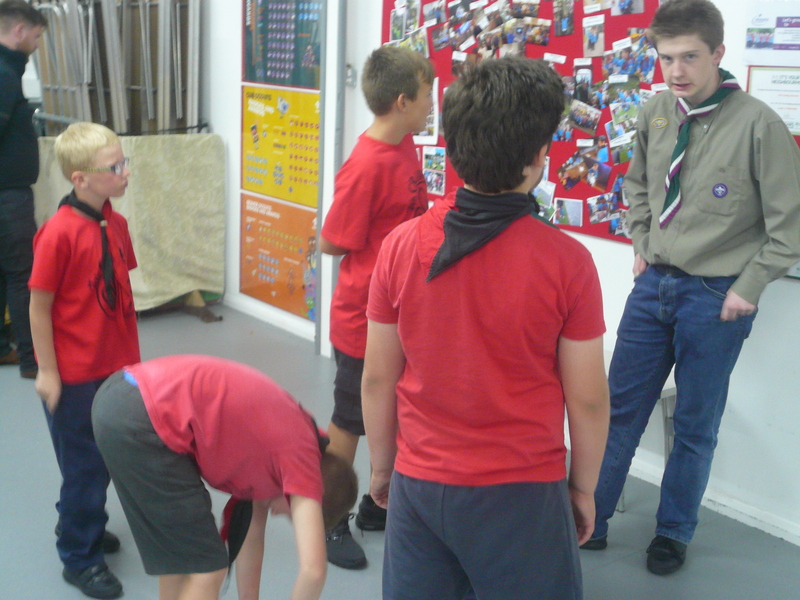 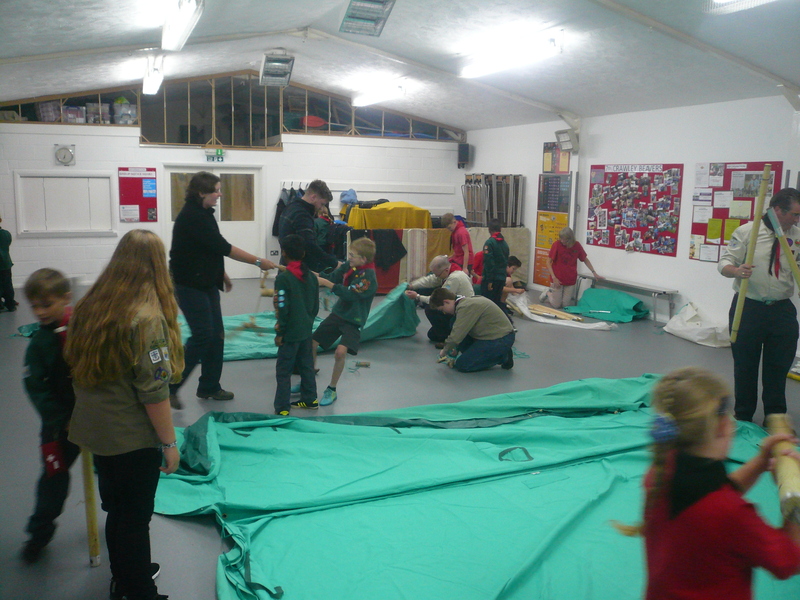 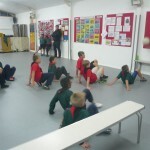 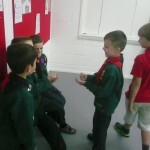 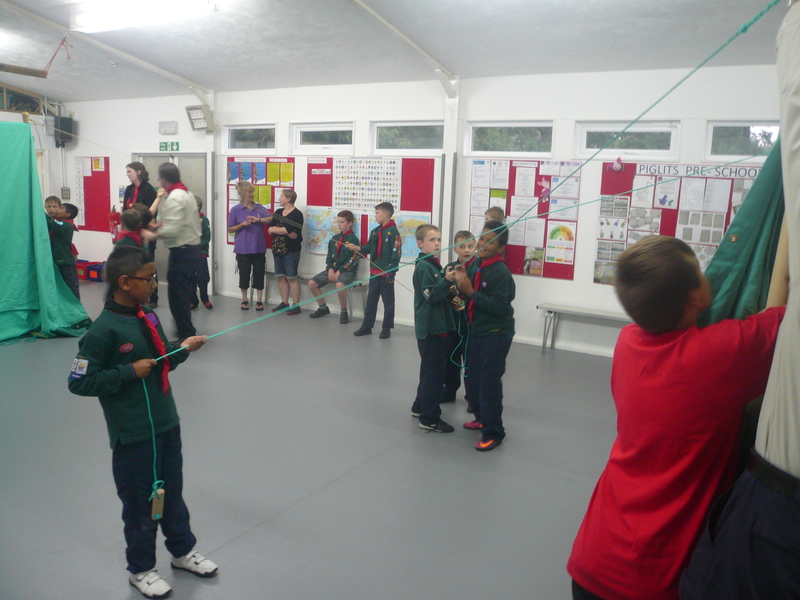 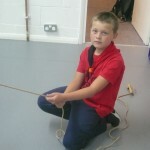 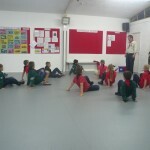 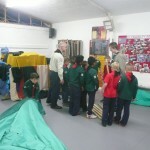 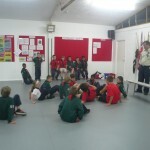 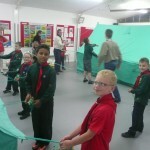 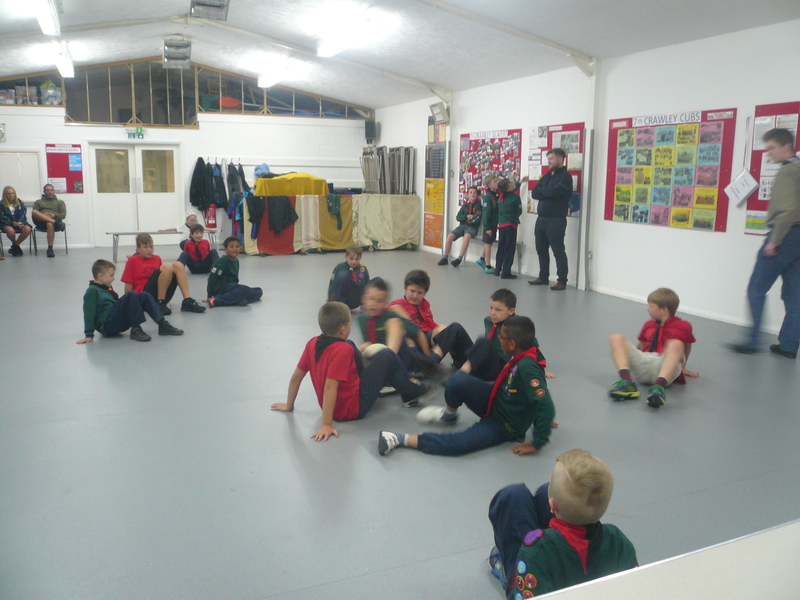 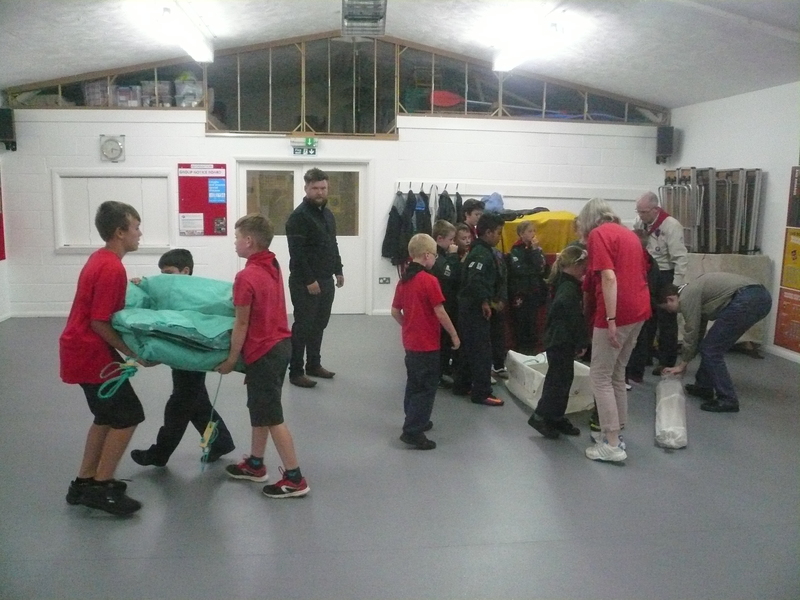 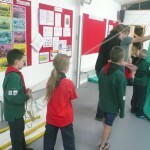 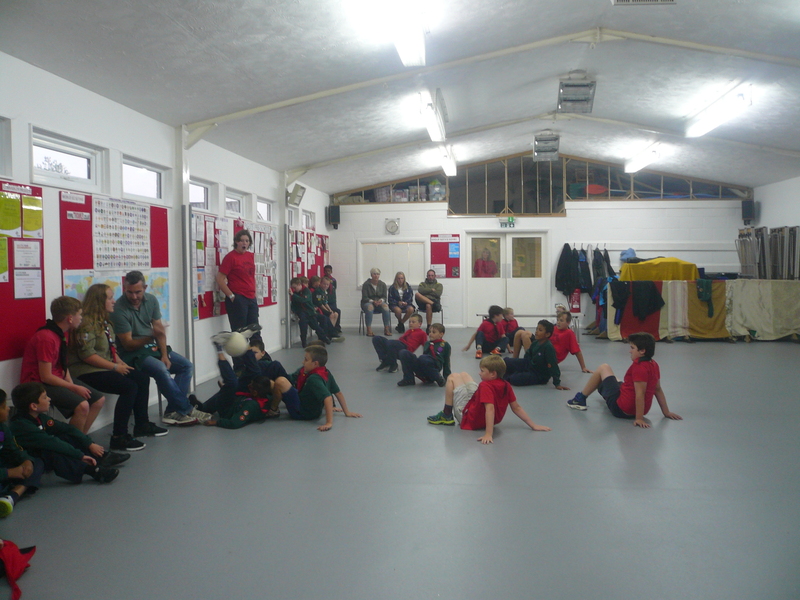 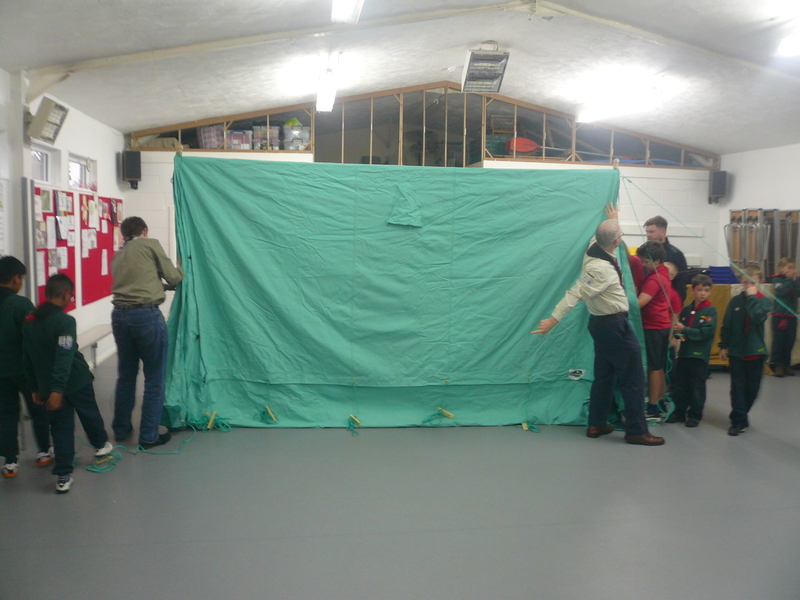 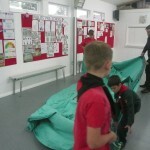 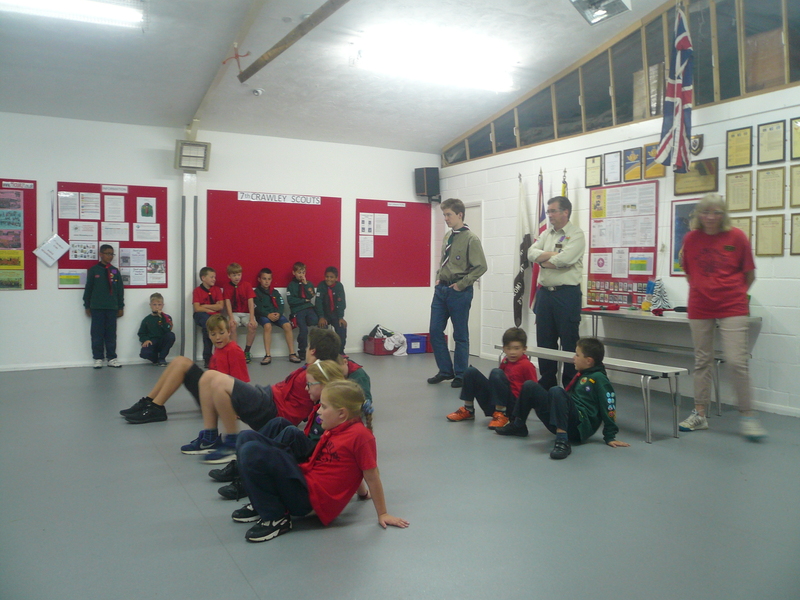 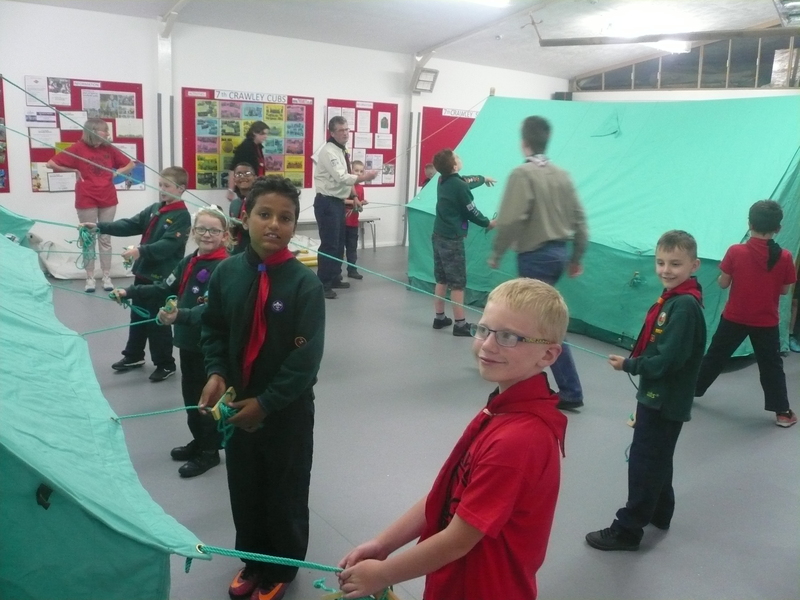 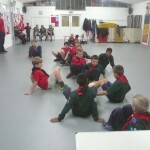 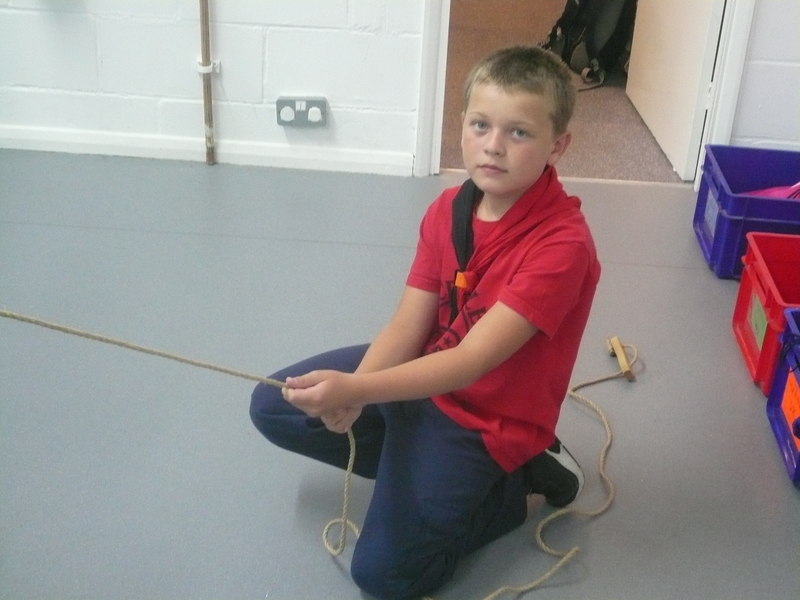 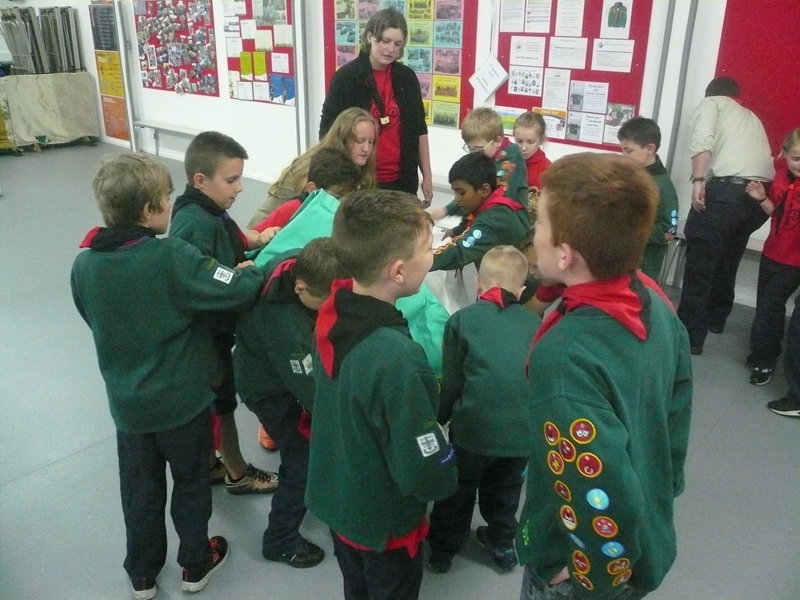 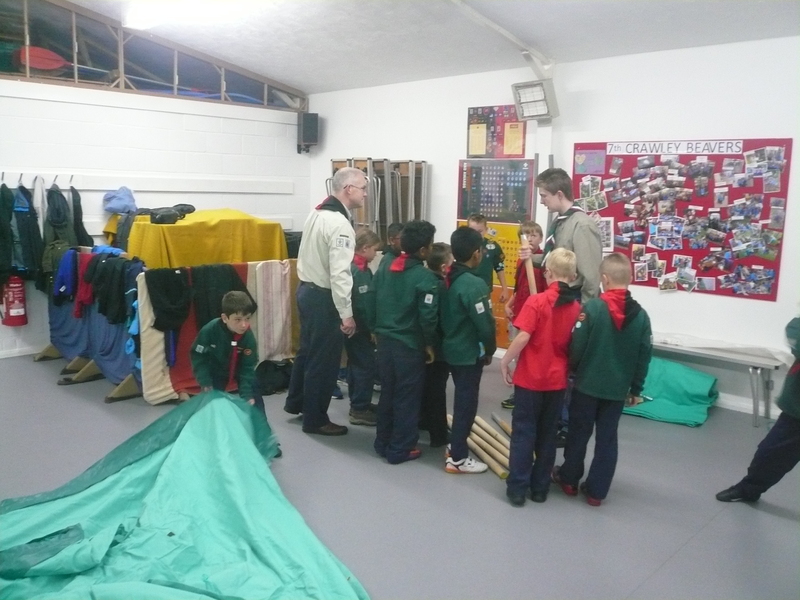 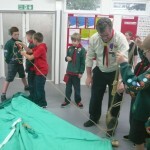 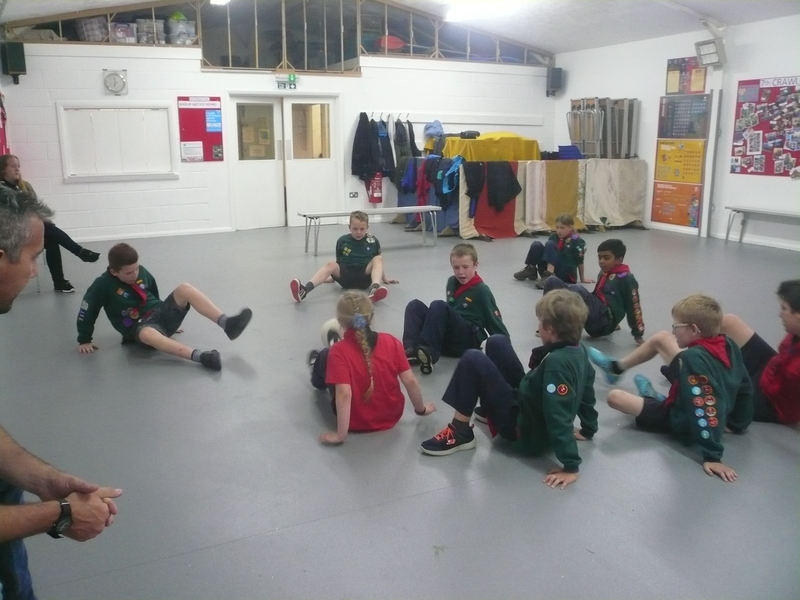 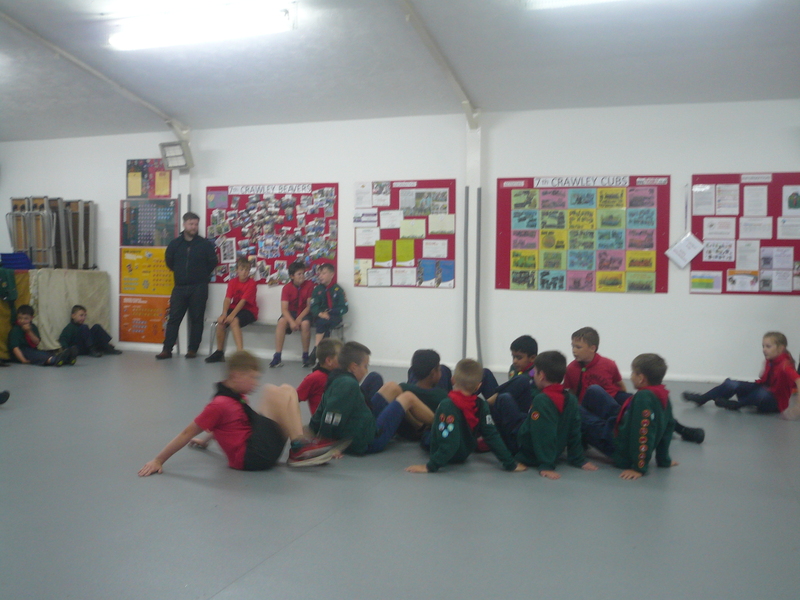 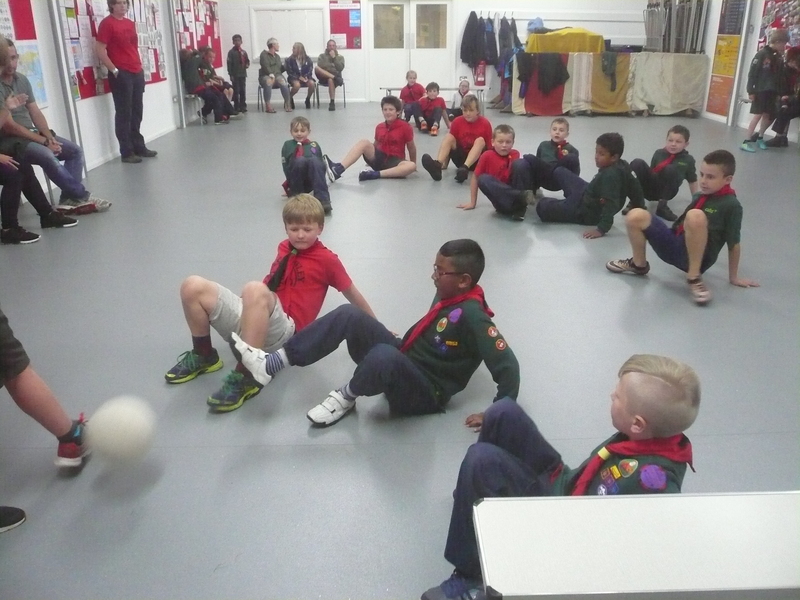 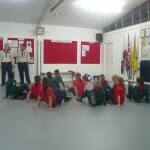 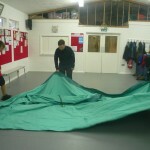 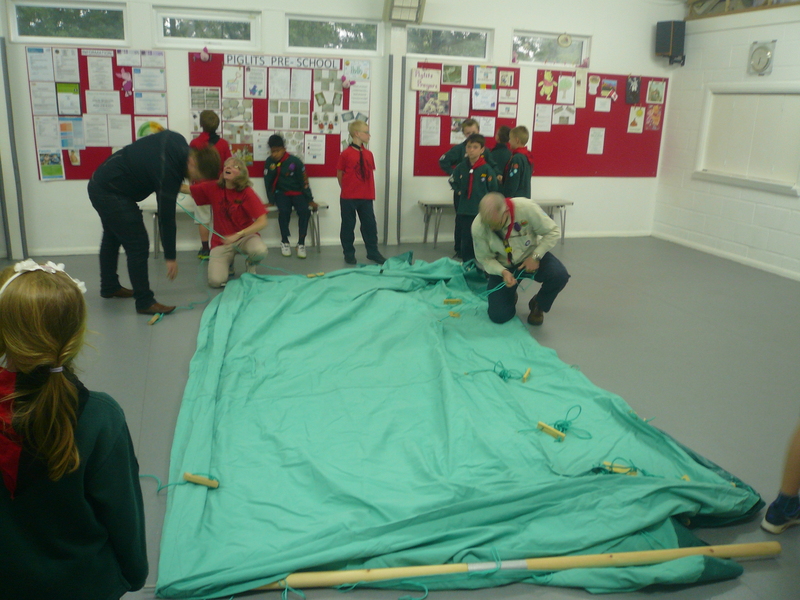 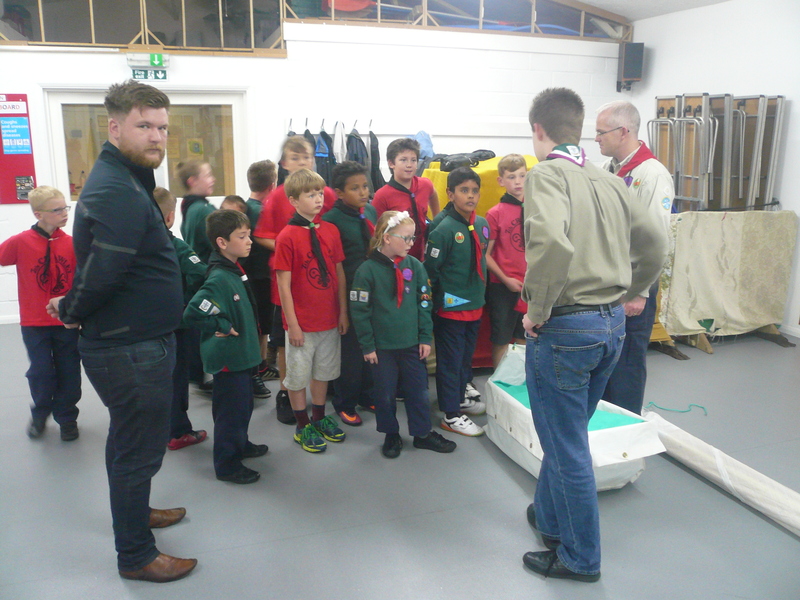 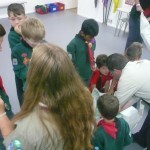 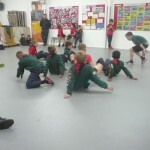 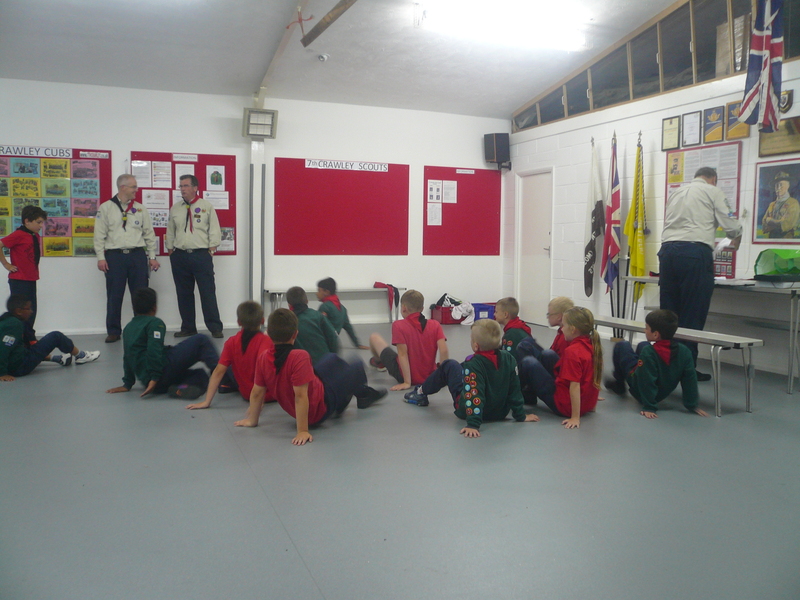 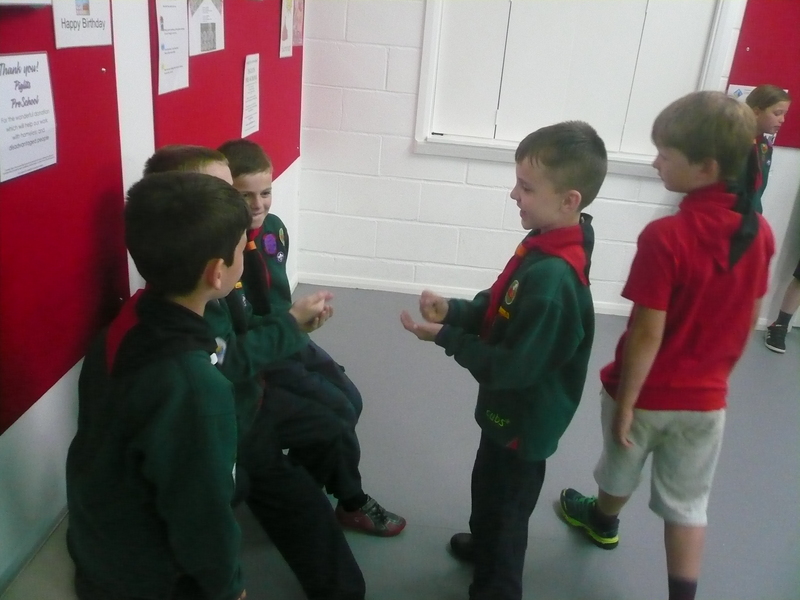 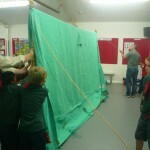 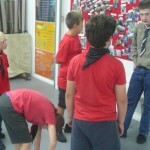 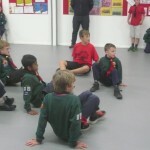 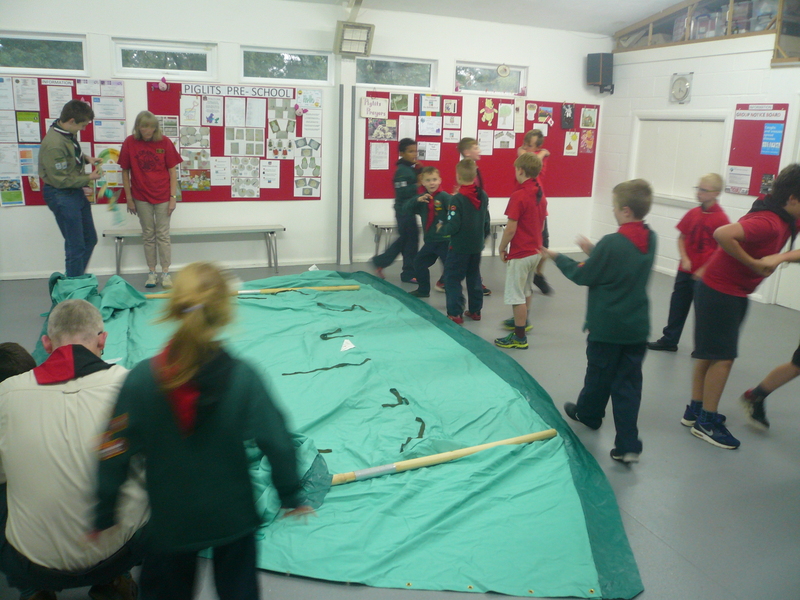 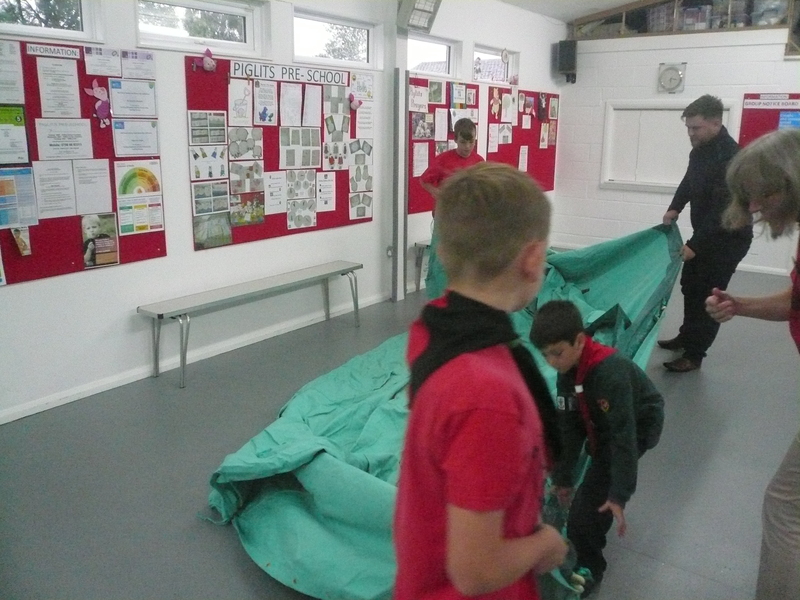 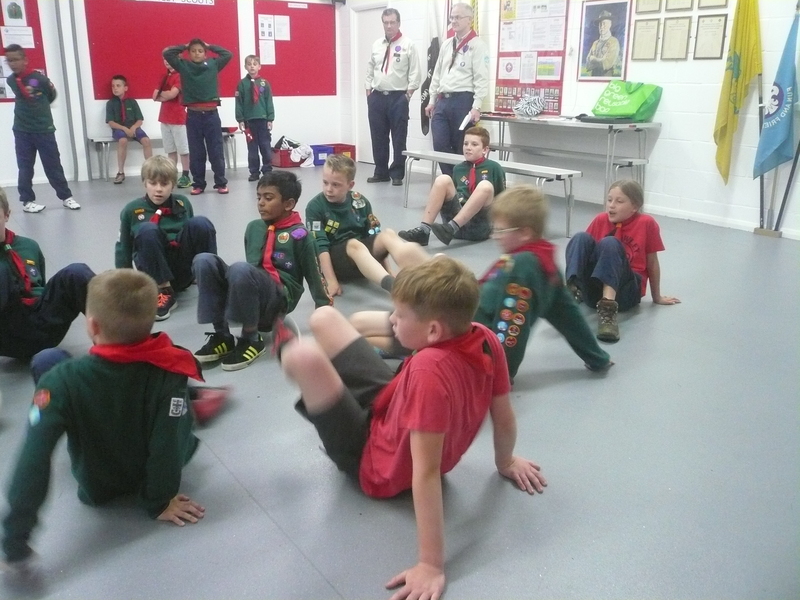 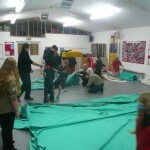 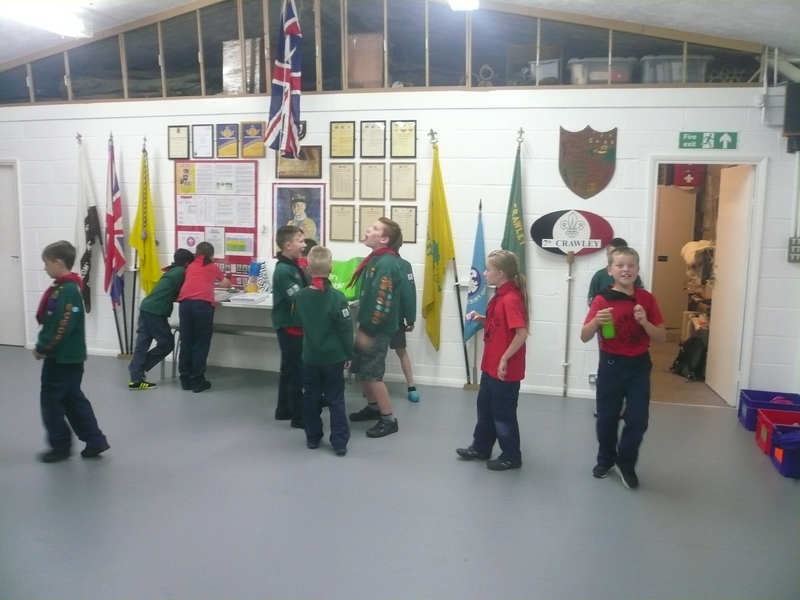 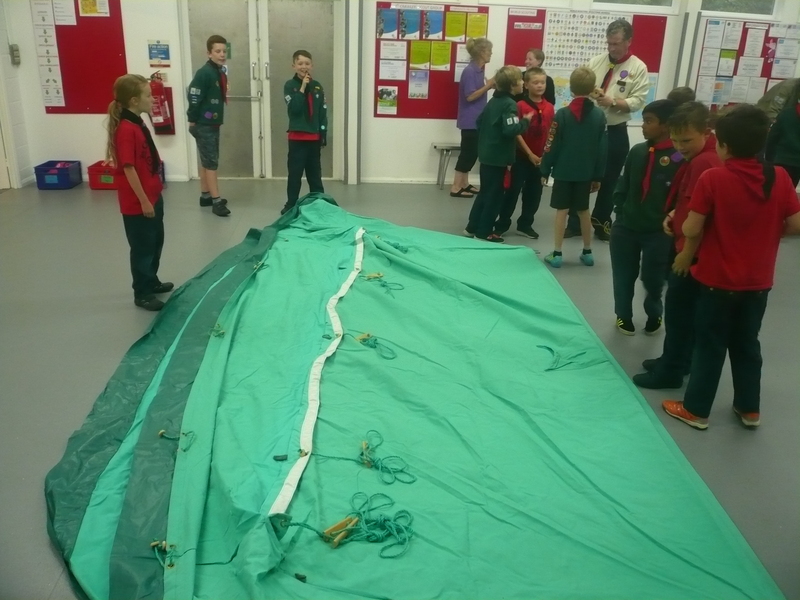 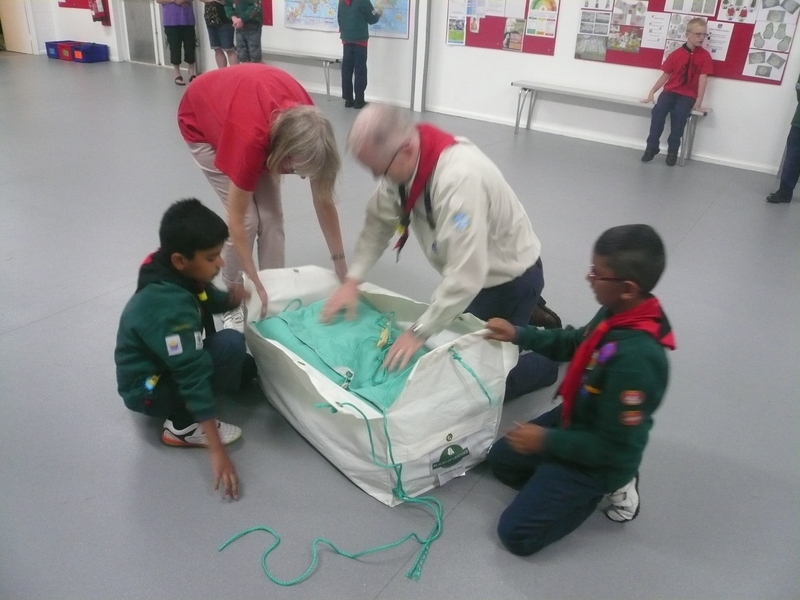 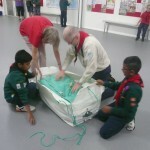 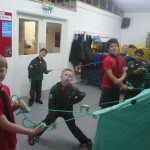 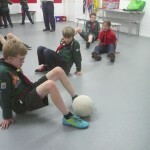 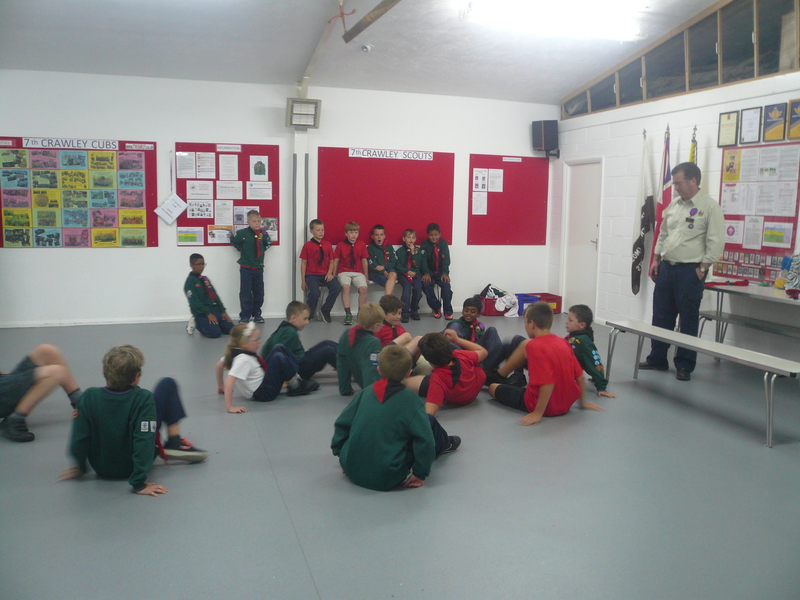 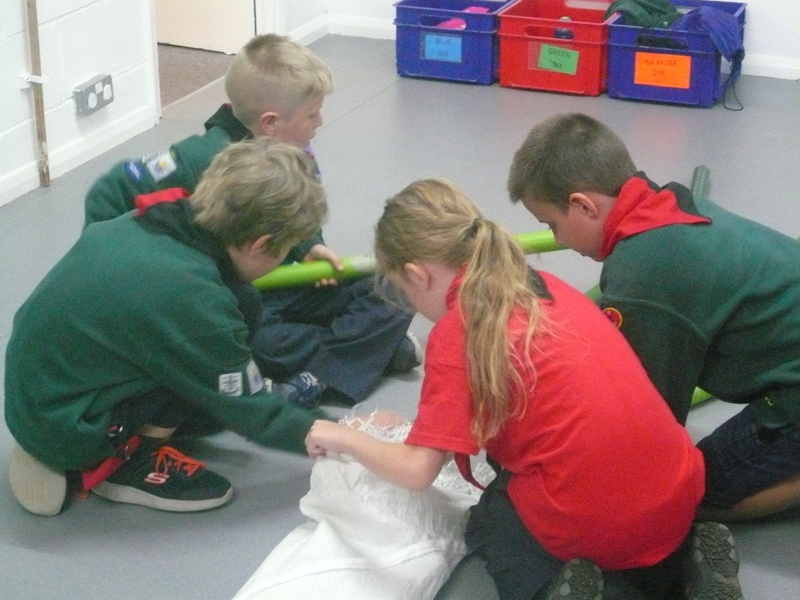 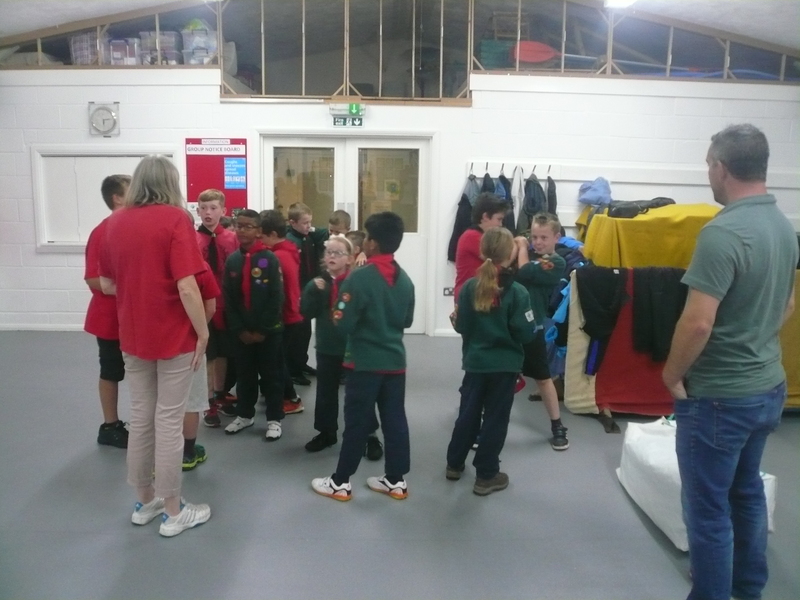 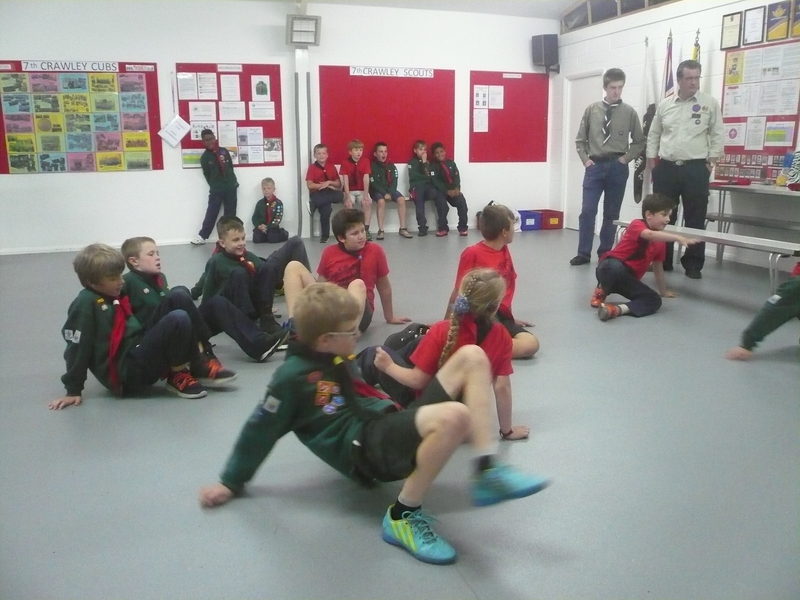 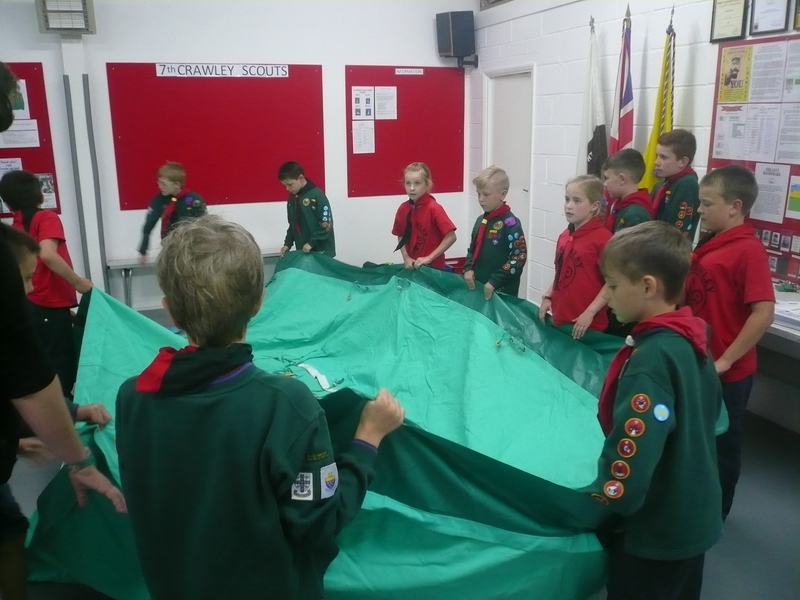 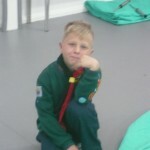 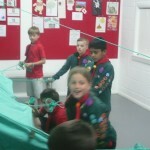 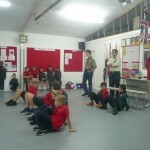 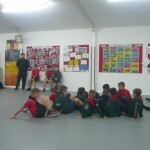 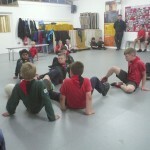 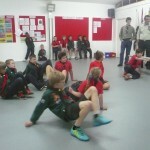 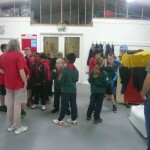 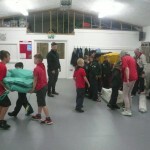 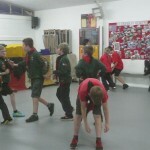 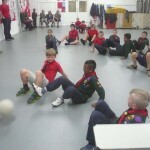 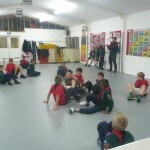 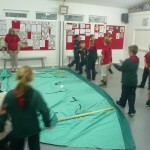 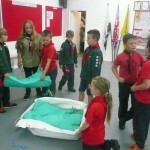 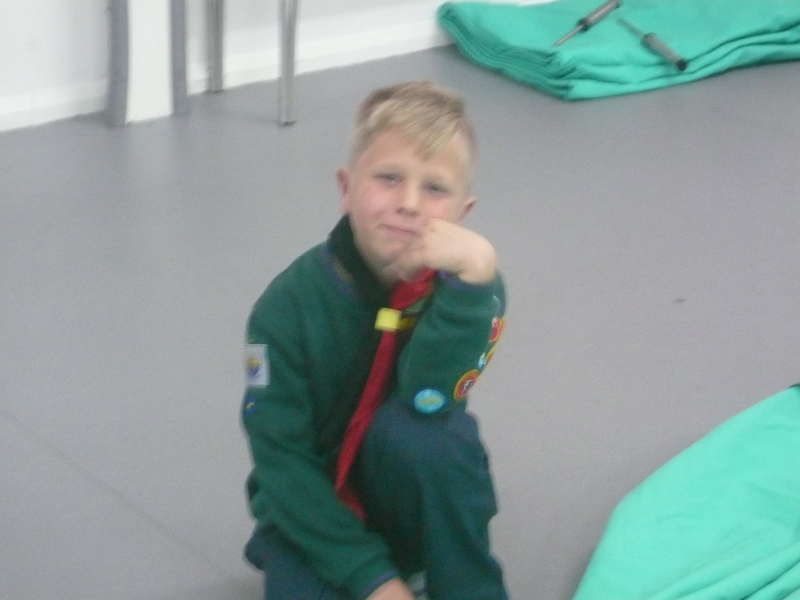 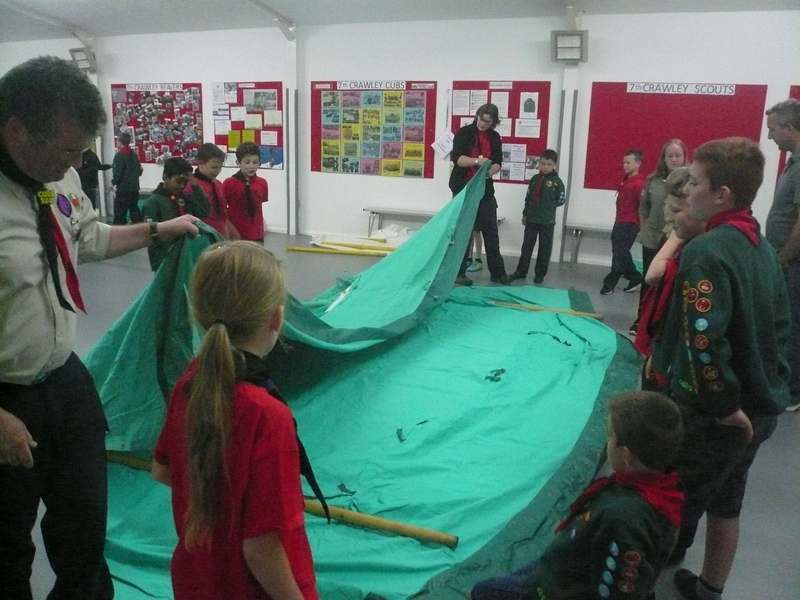 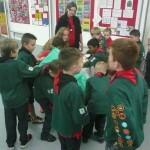 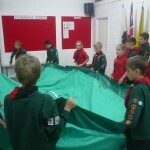 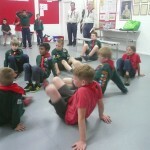 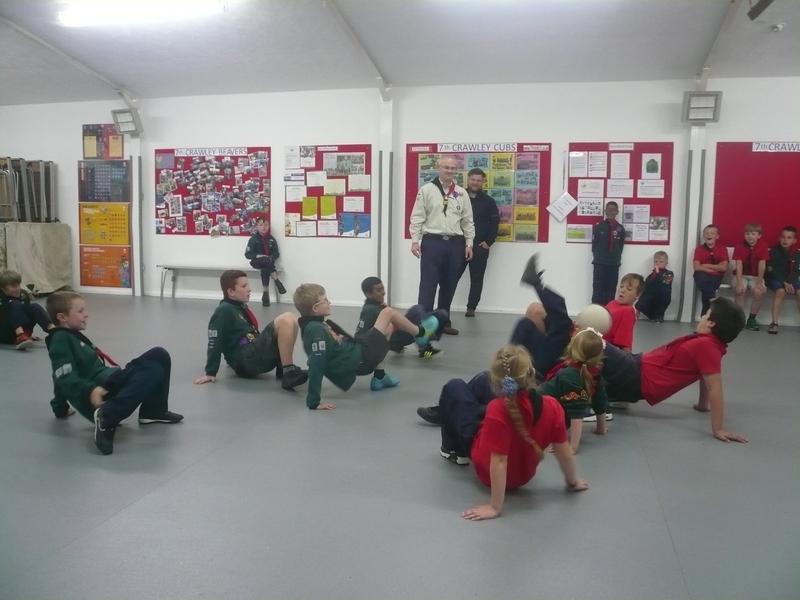 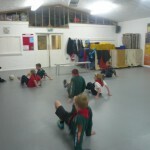 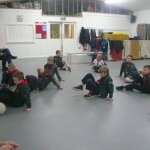 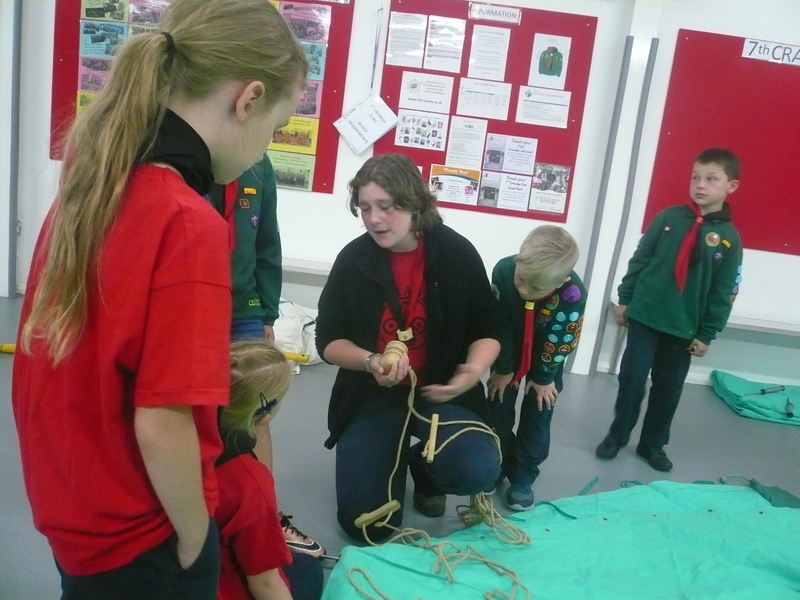 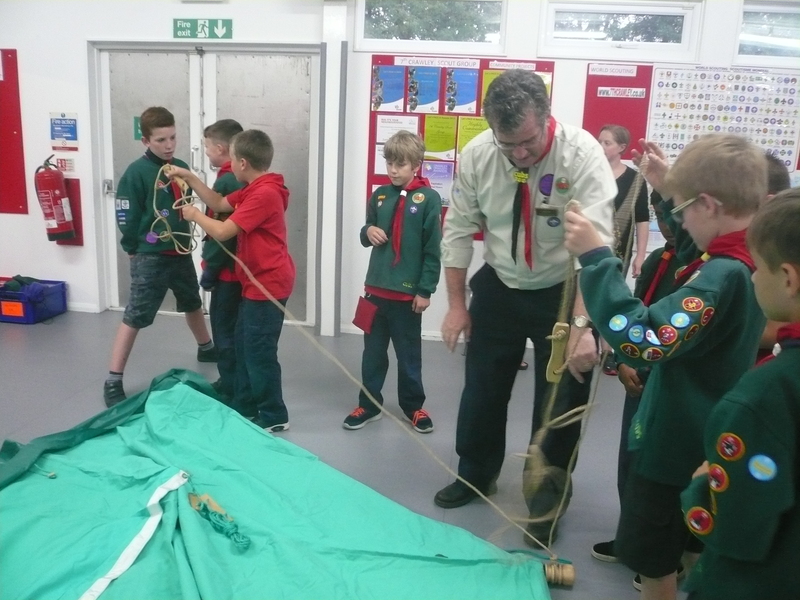 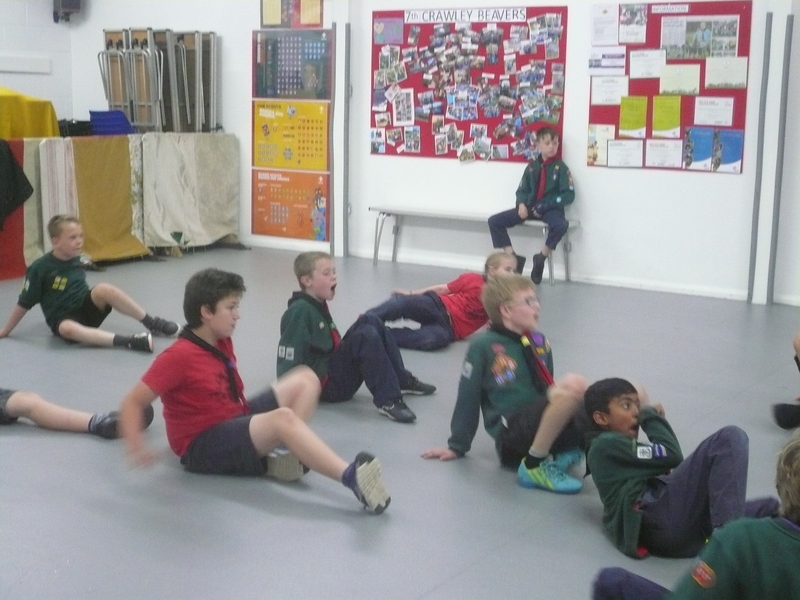 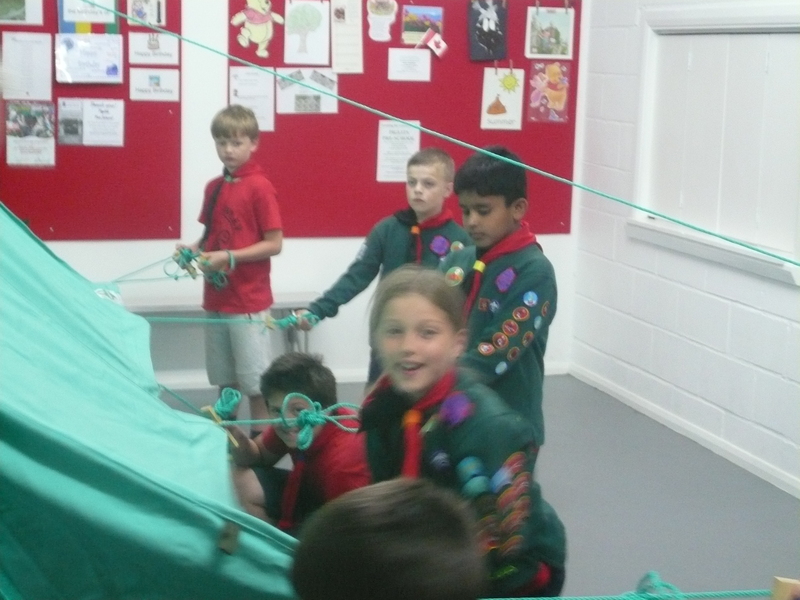 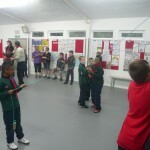 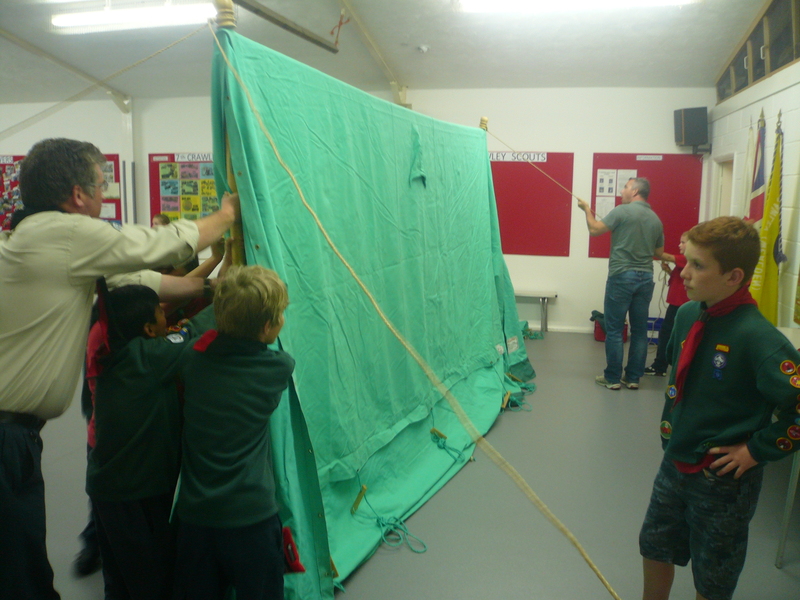 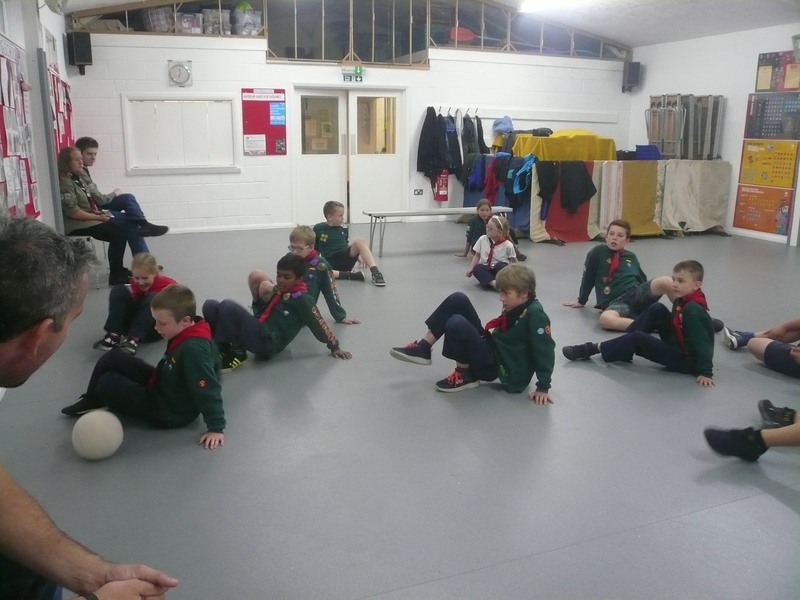 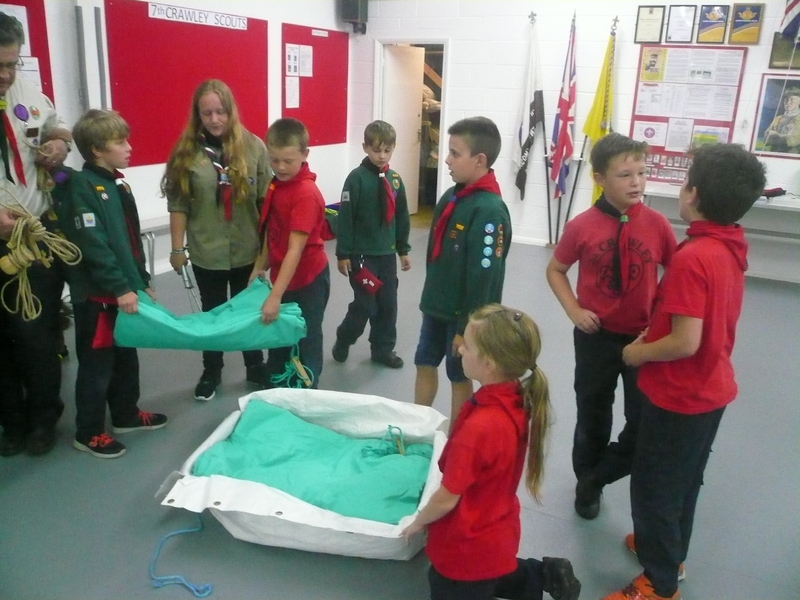 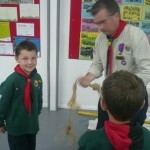 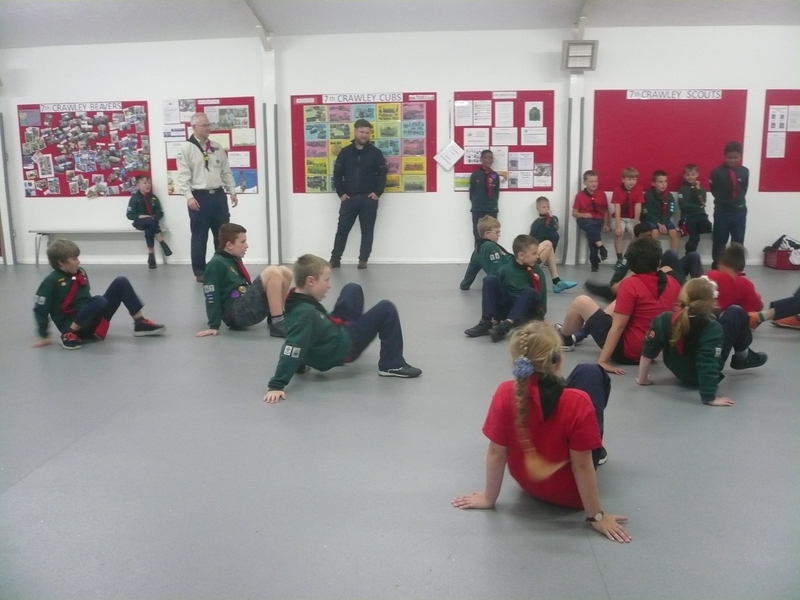 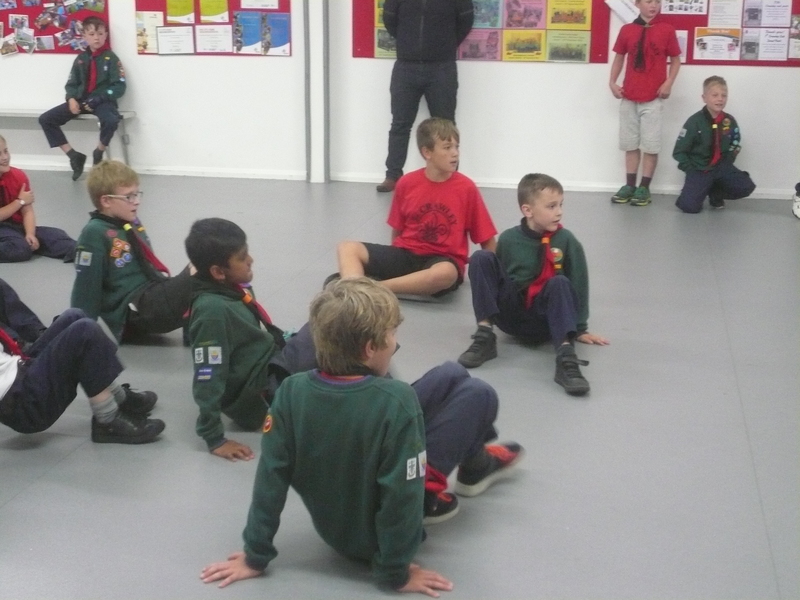 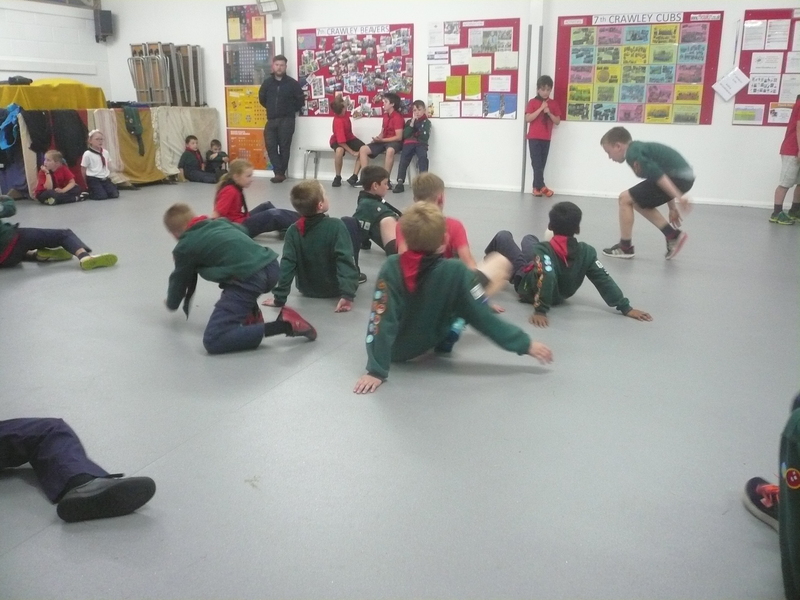 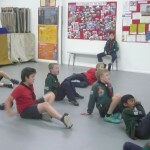 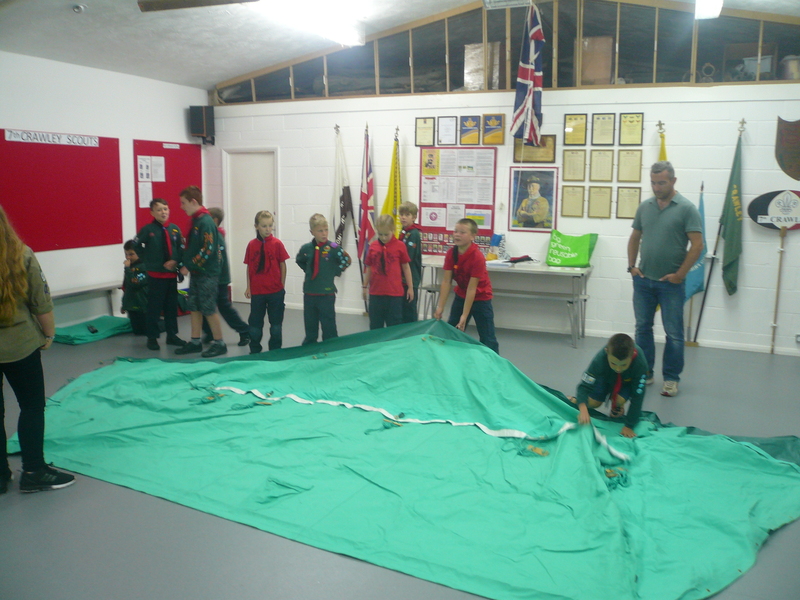 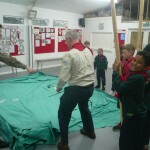 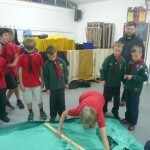 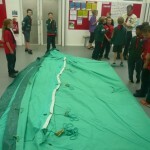 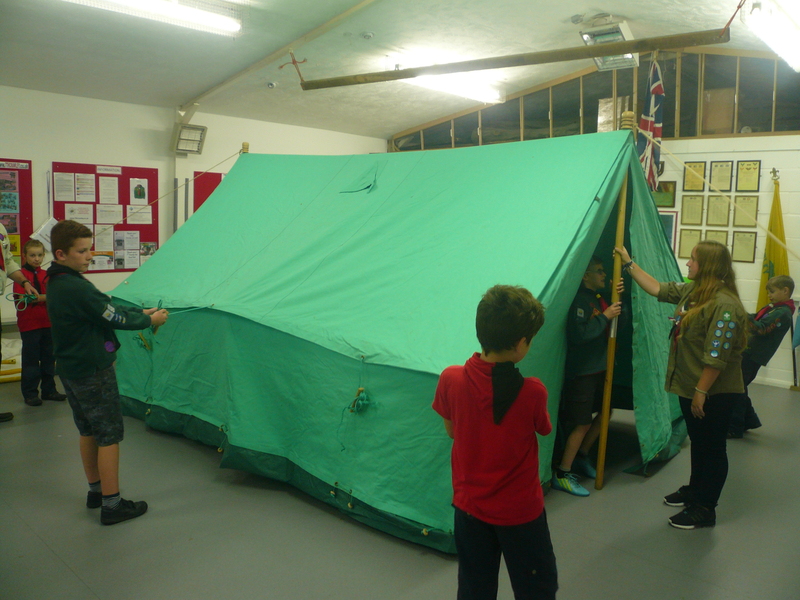 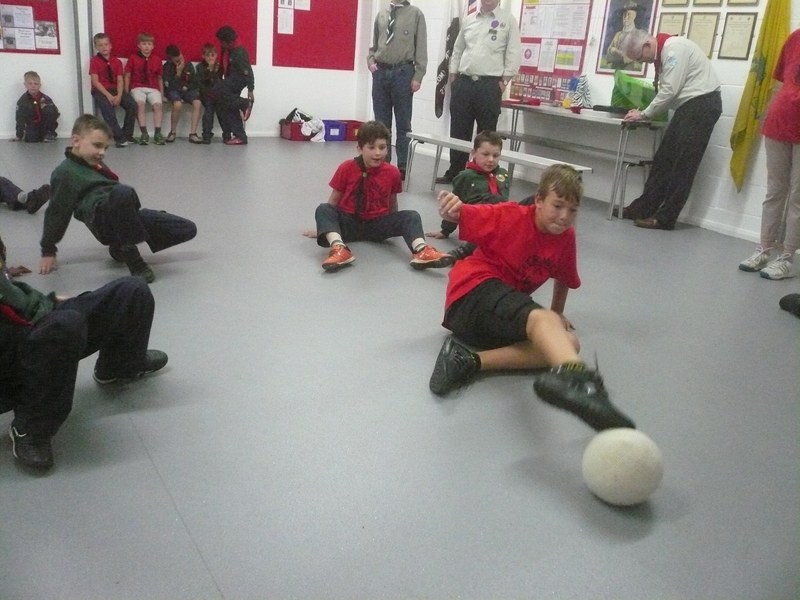 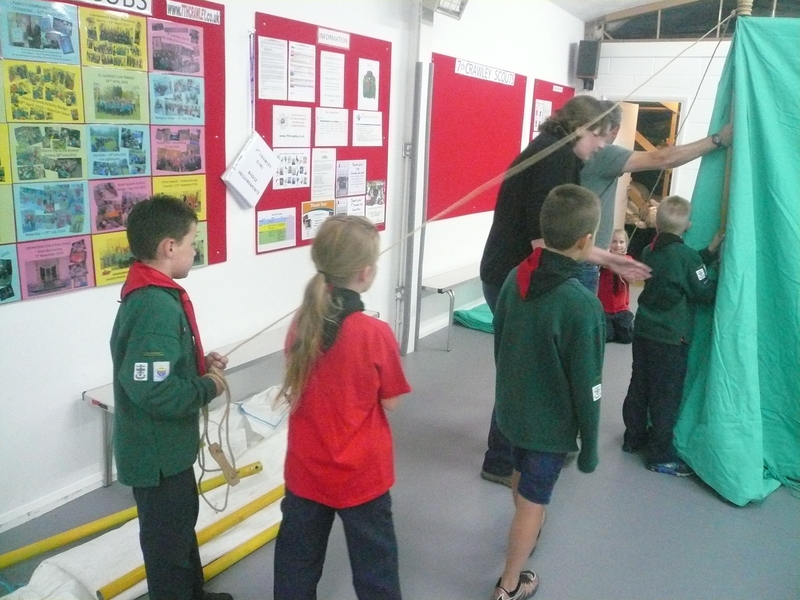 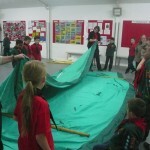 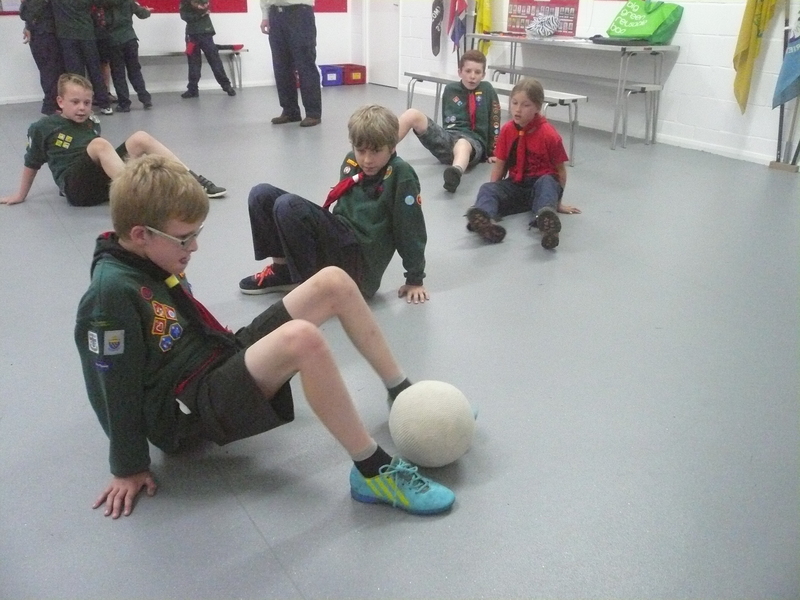 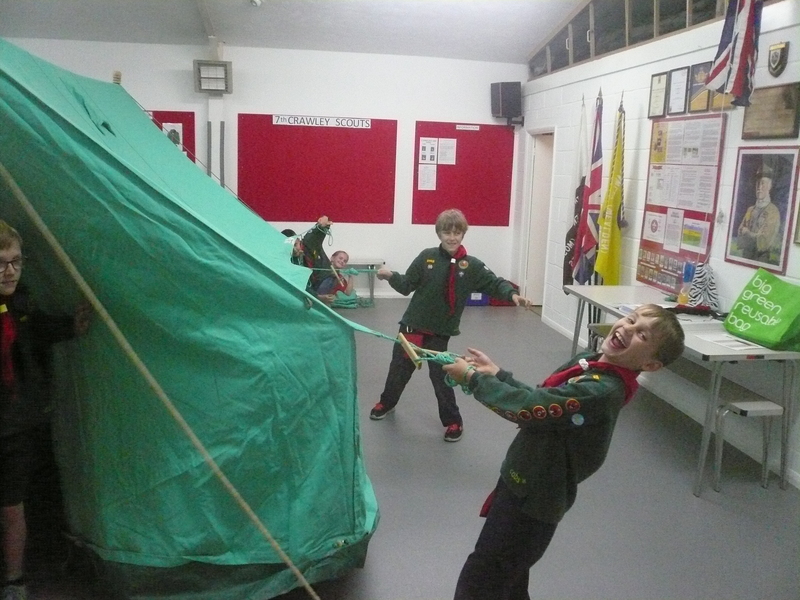 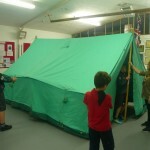 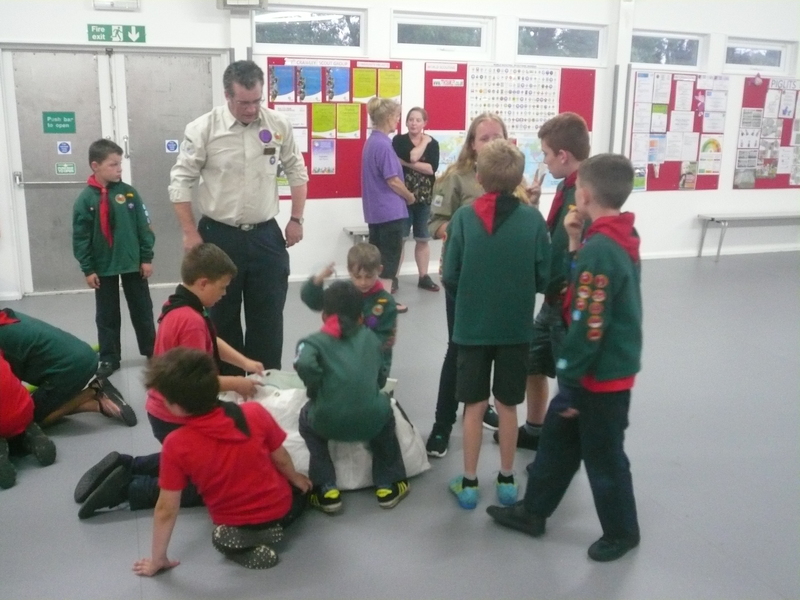 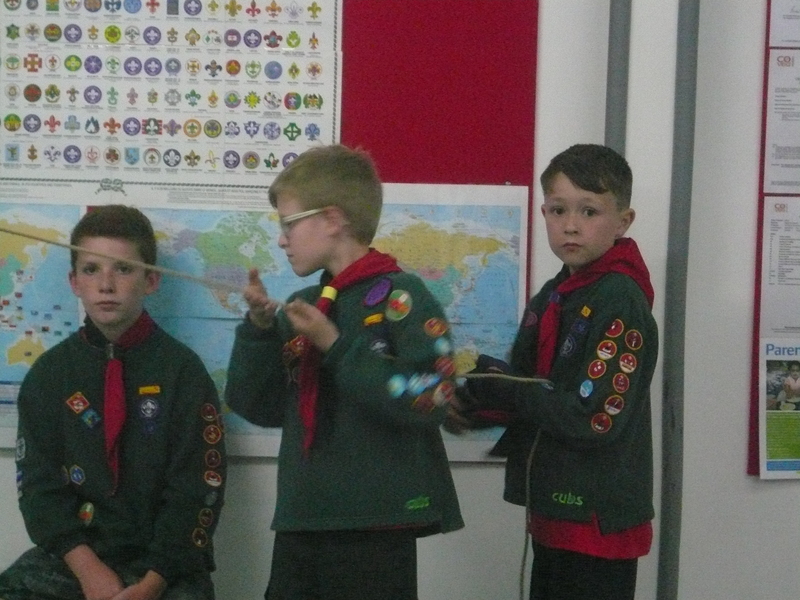 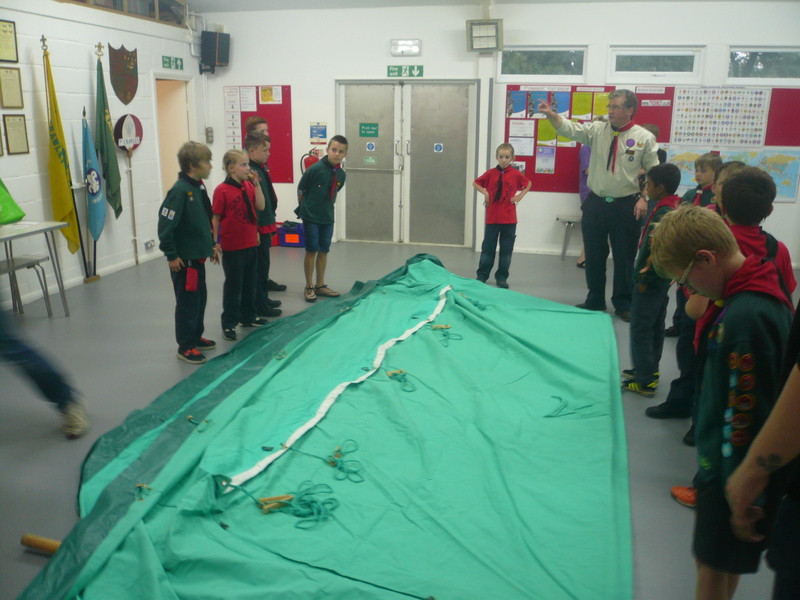 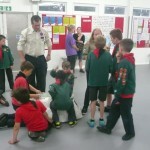 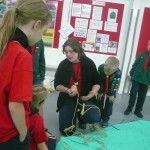 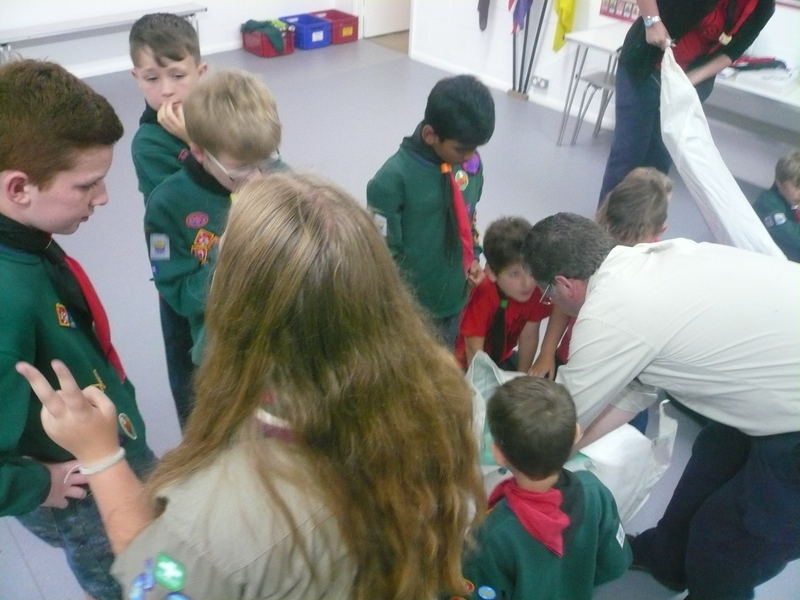 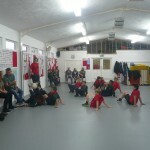 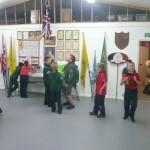 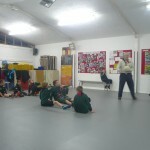 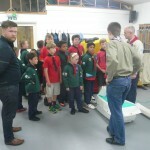 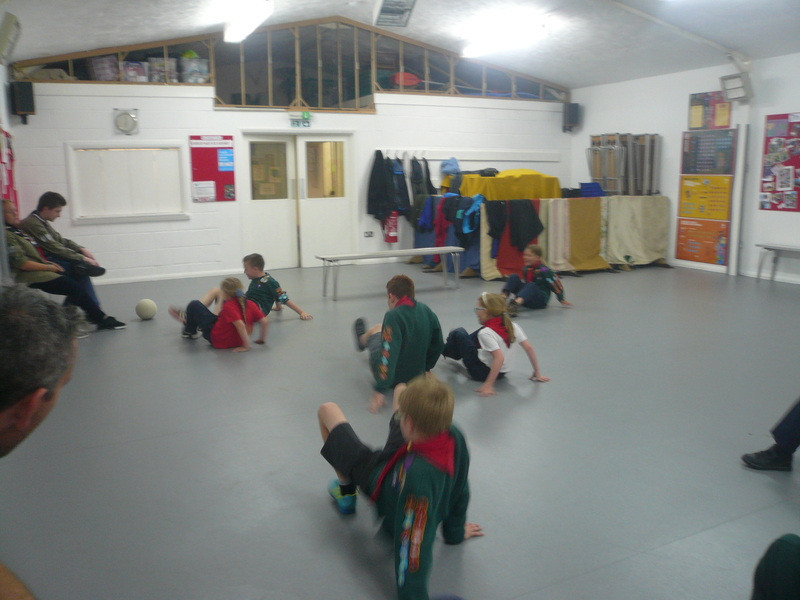 The Cubs had an interesting evening putting up patrol tents inside the HQ. 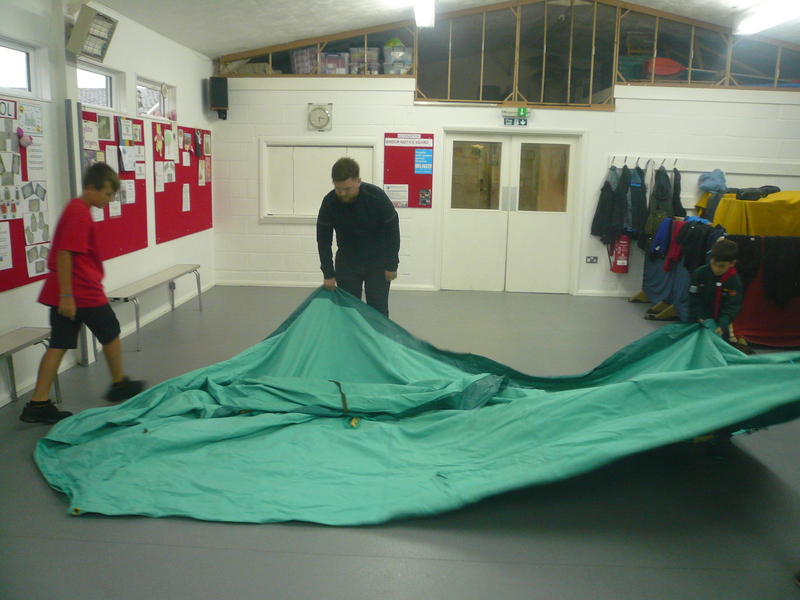 When asked how they could peg the tents down it was explained to the Pack that they would act as tent pegs! 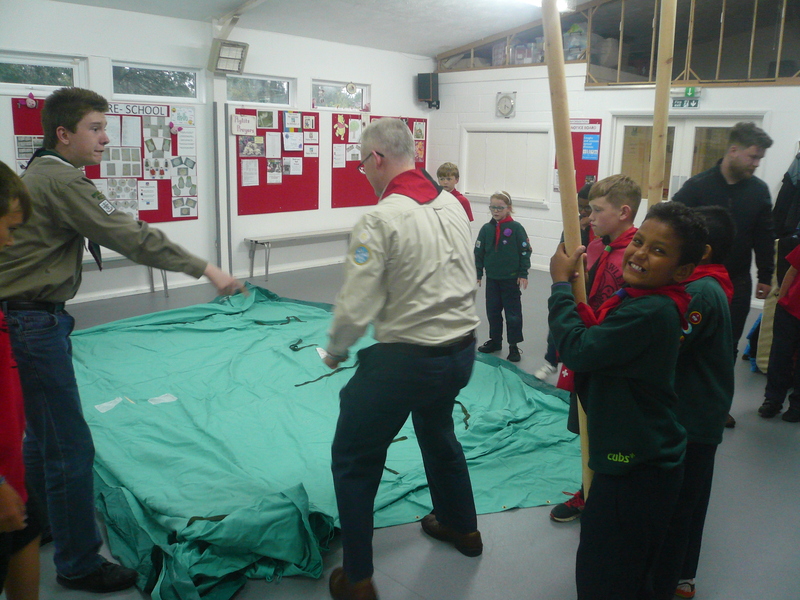 I am pleased to report that no Cubs were injured during the process and the use of mallets on the tent pegs was kept to a minimum! 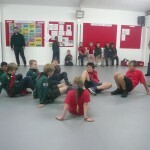 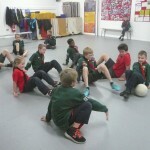 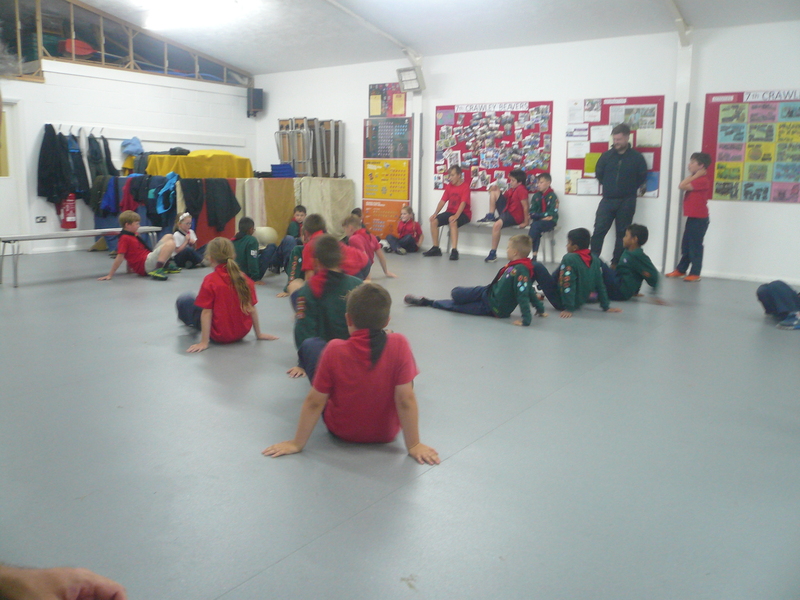 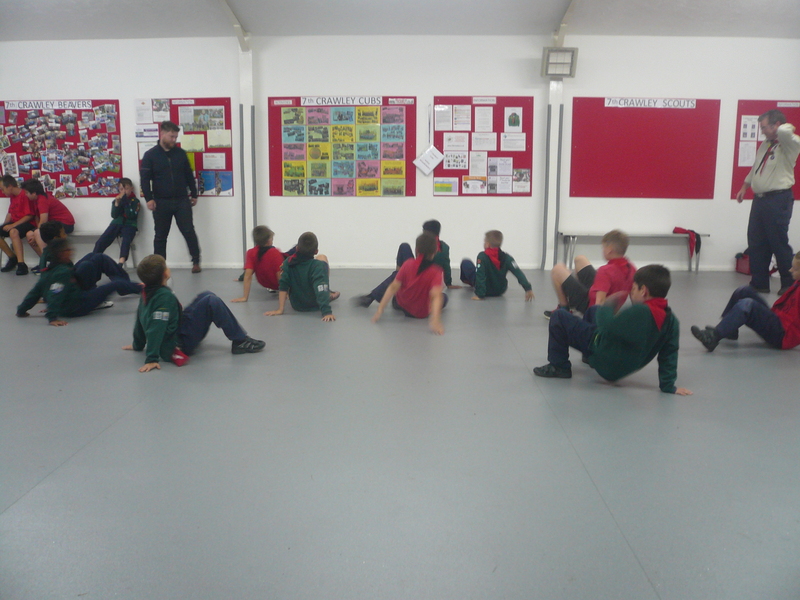 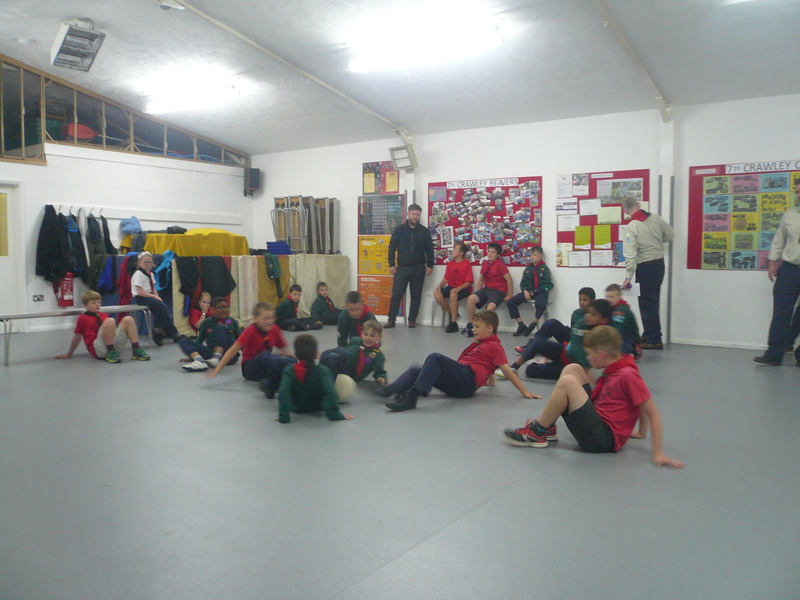 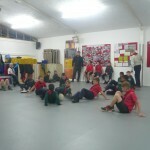 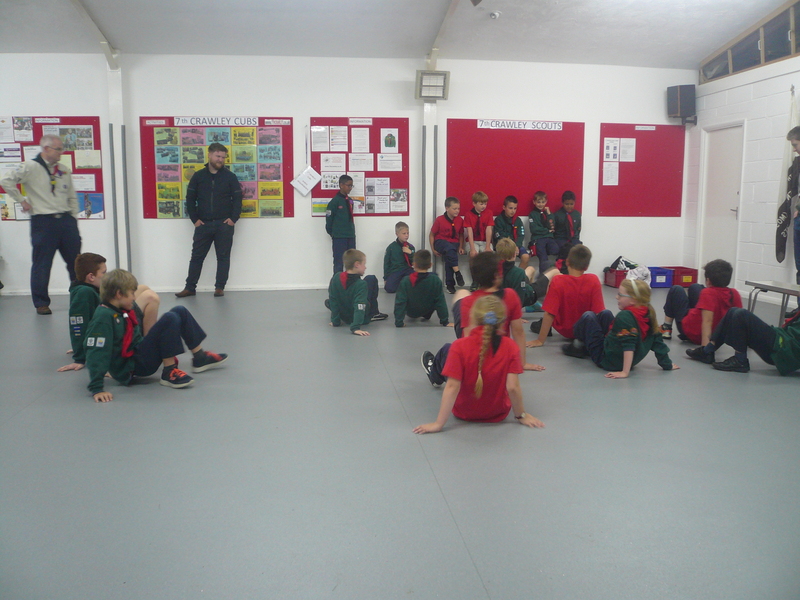 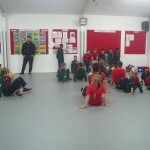 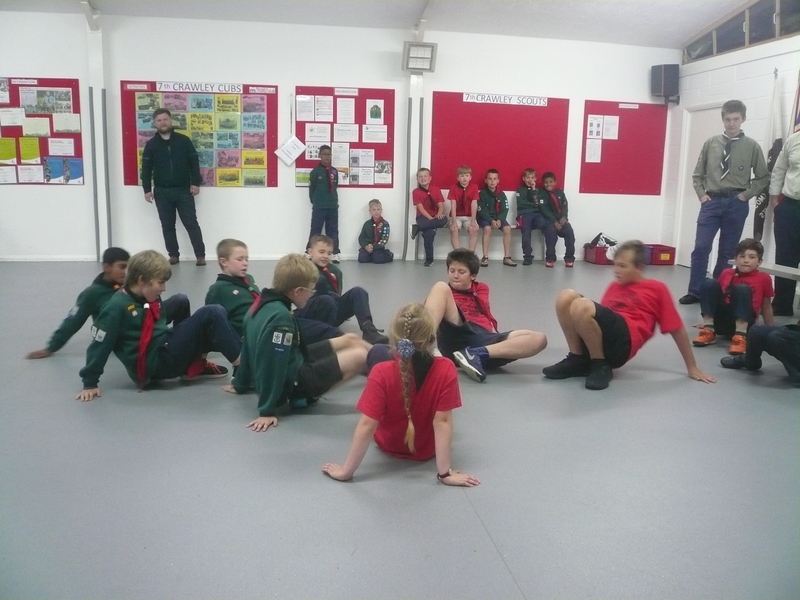 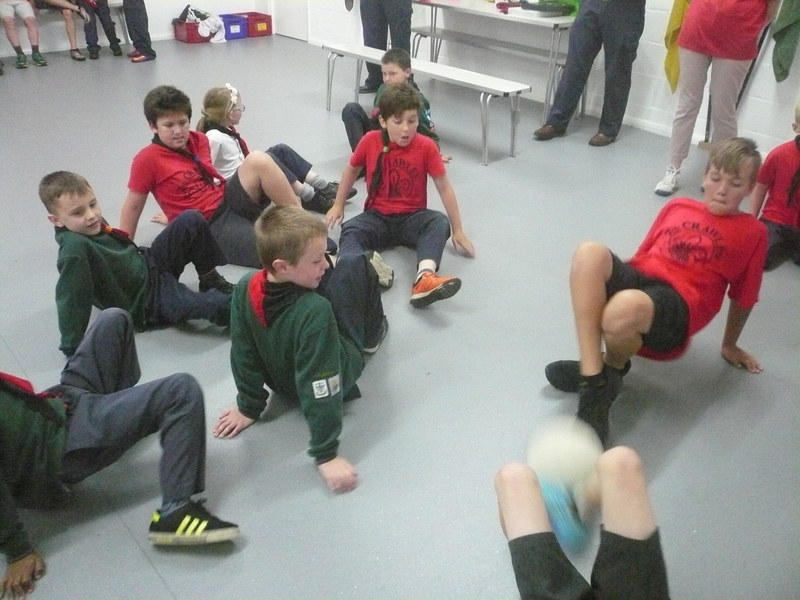 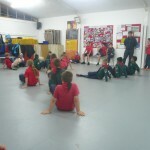 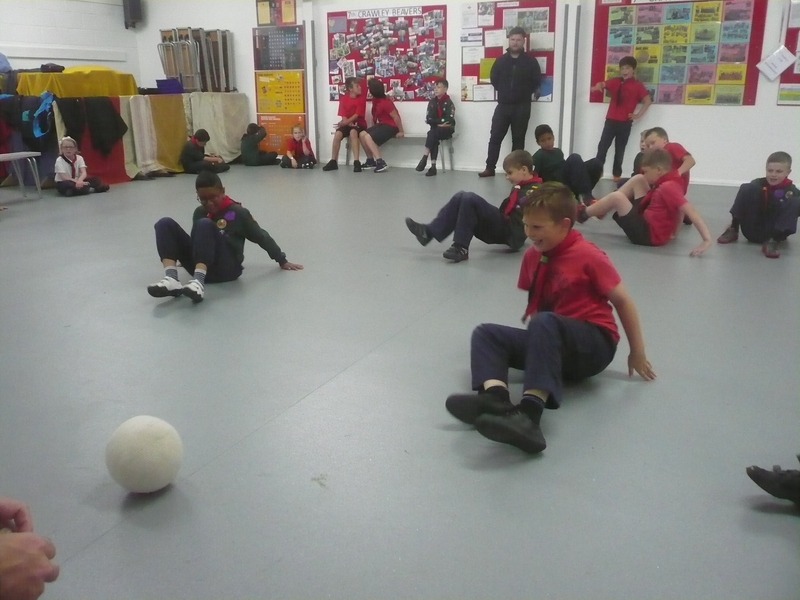 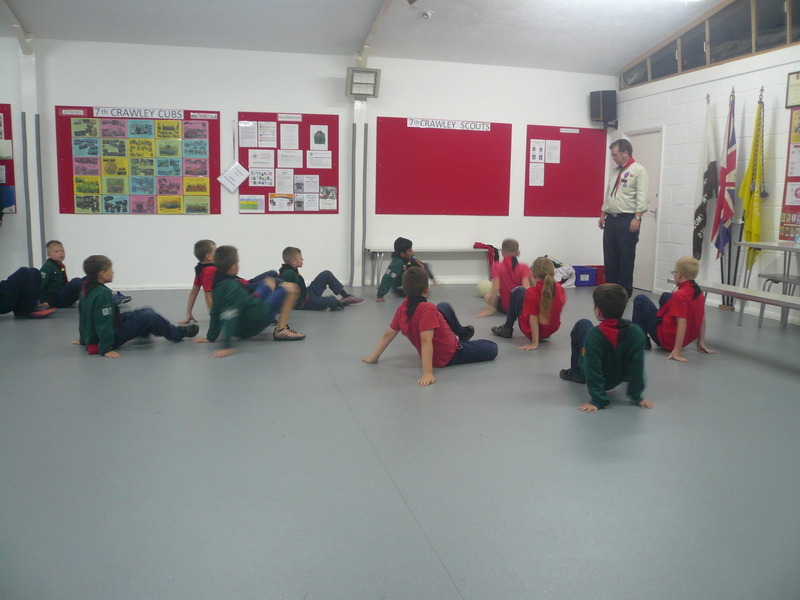 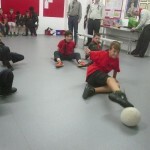 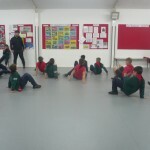 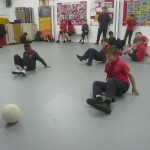 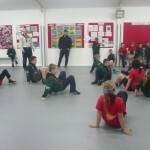 We finished off with a game of inter-six crab football.